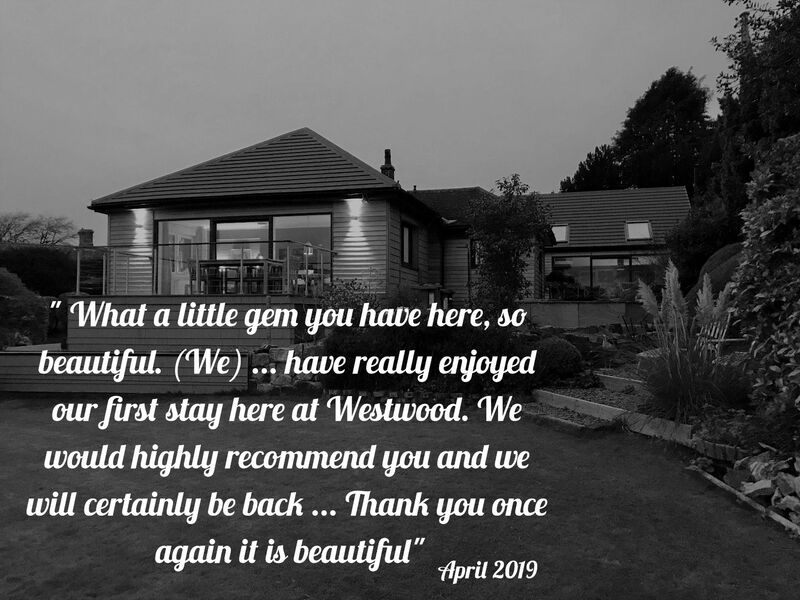 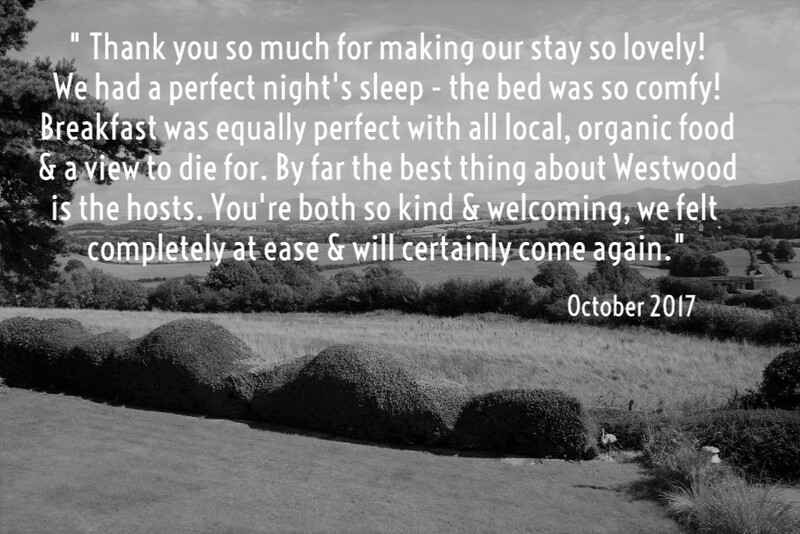 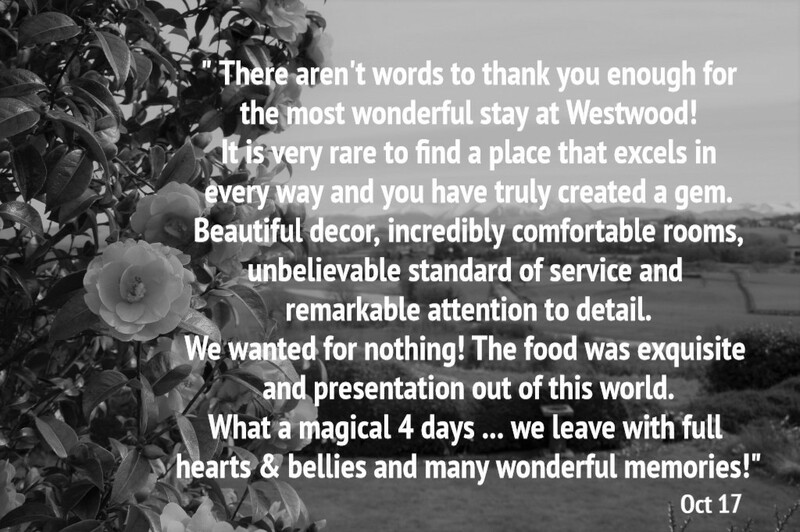 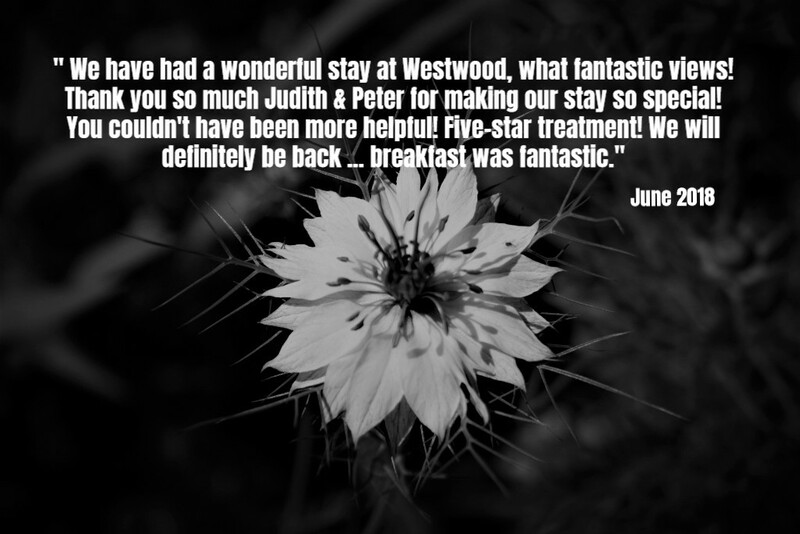 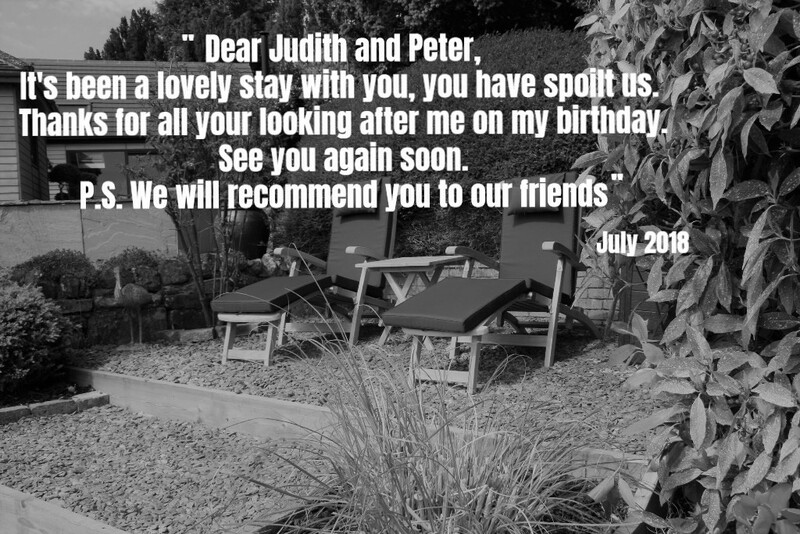 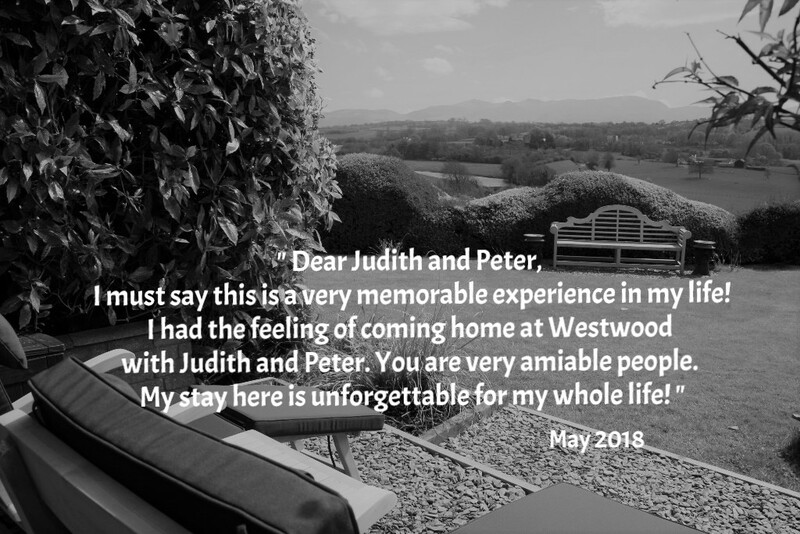 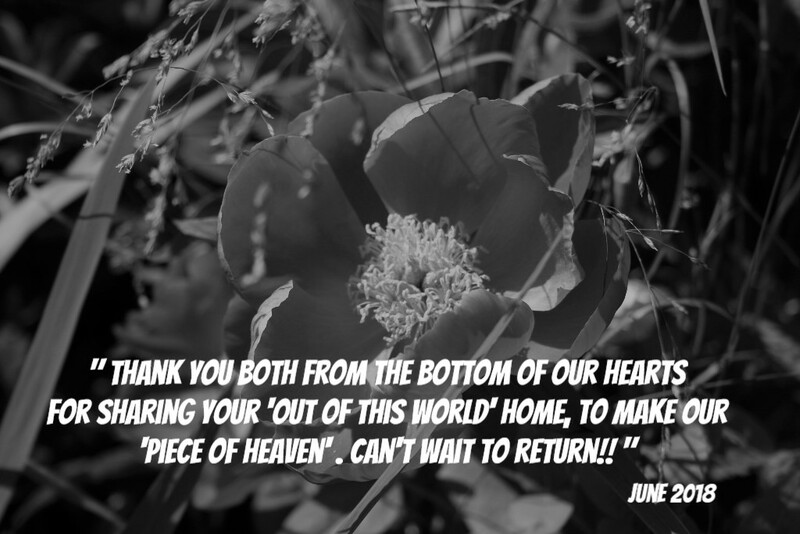 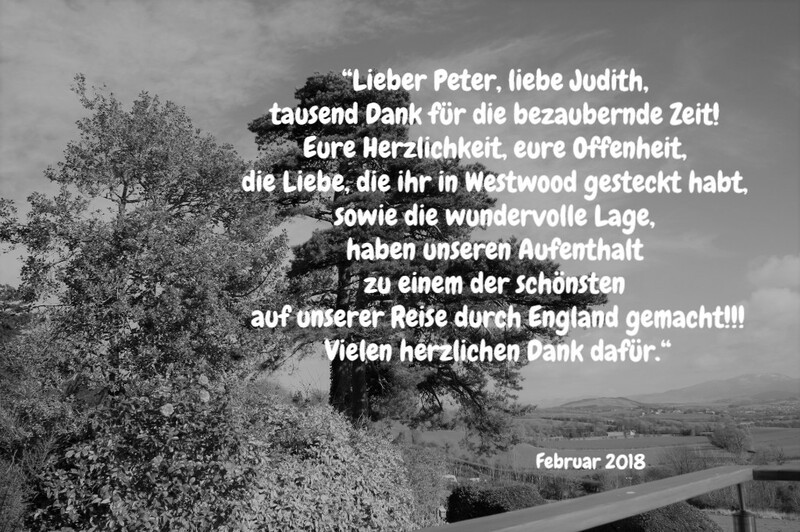 We are delighted to be able to share some of the wonderful comments our guests have written in our "old-fashioned" guest book in Westwood. 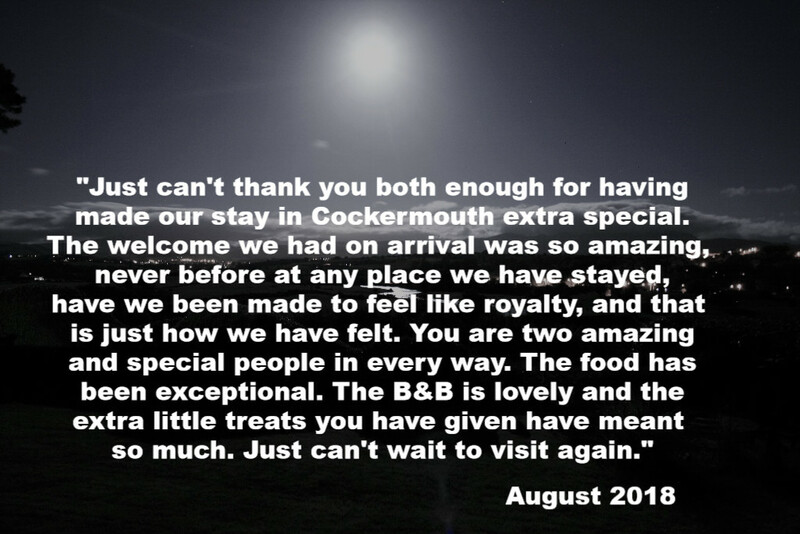 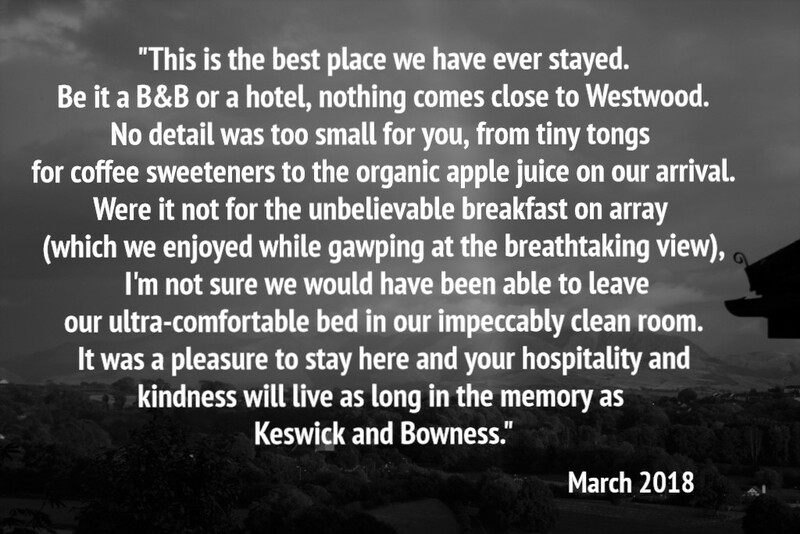 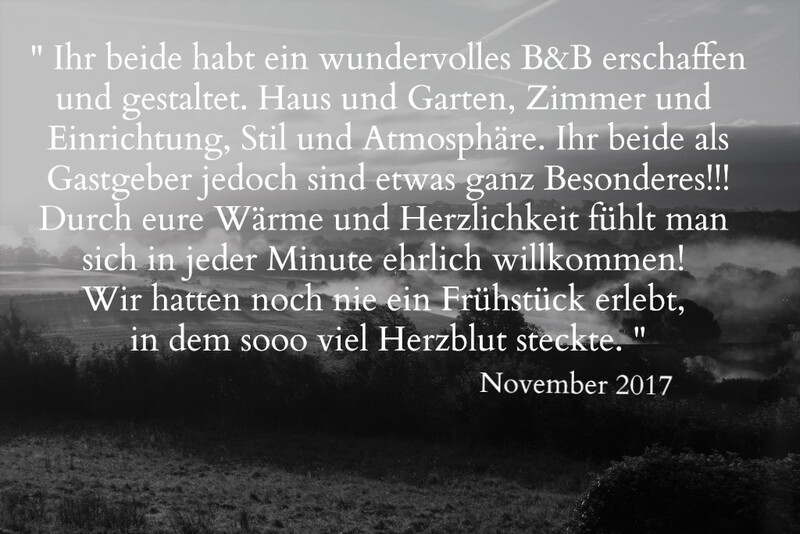 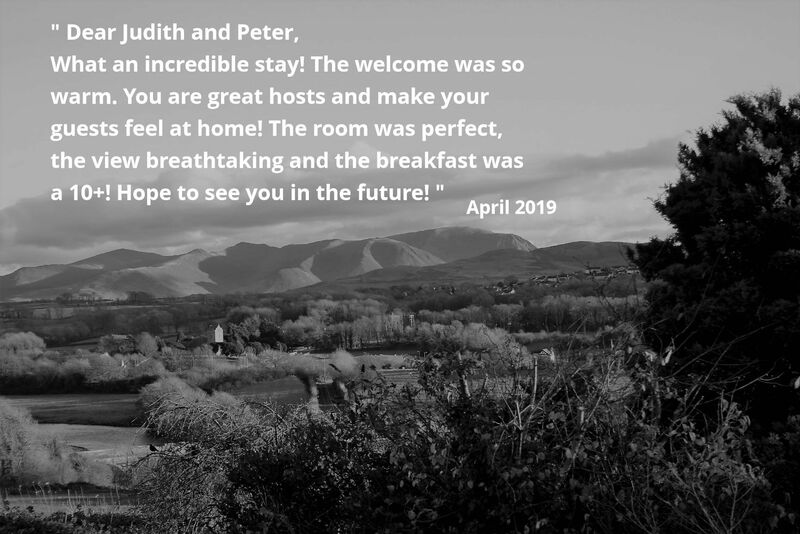 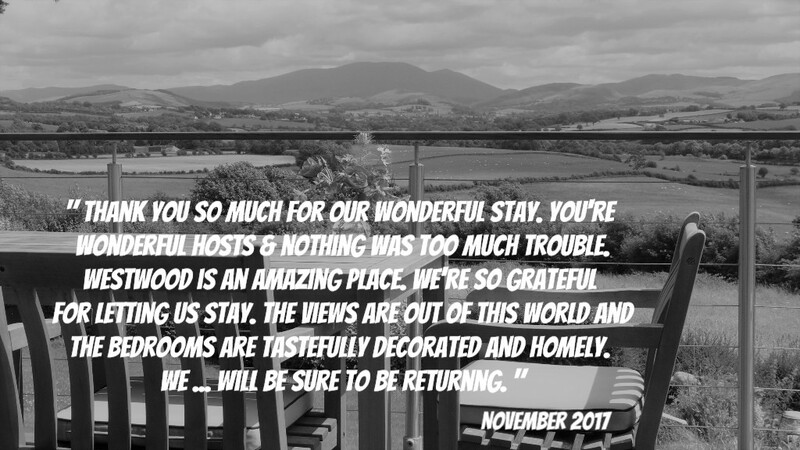 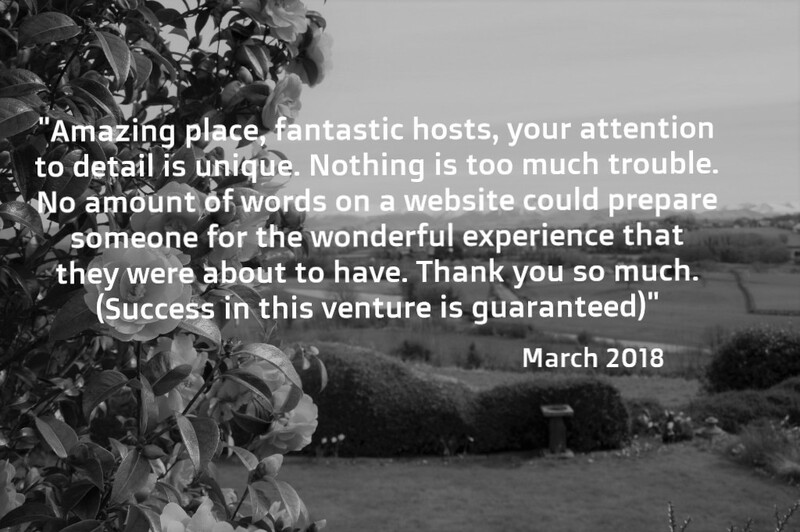 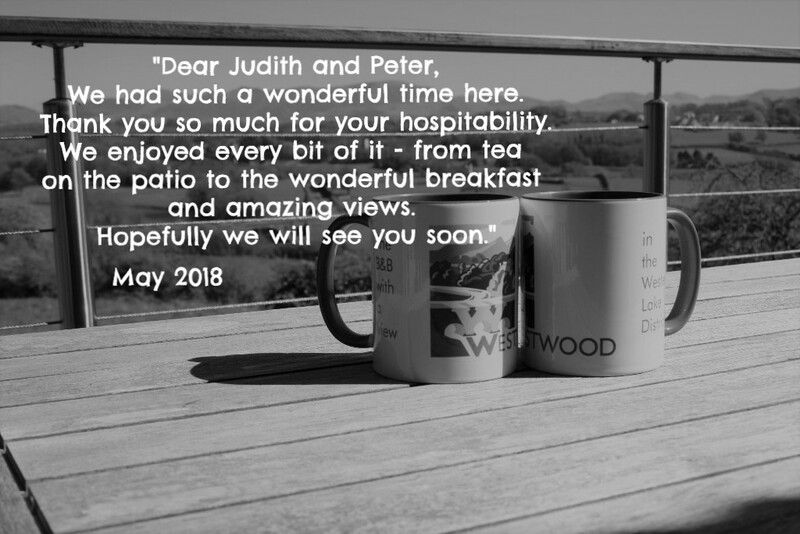 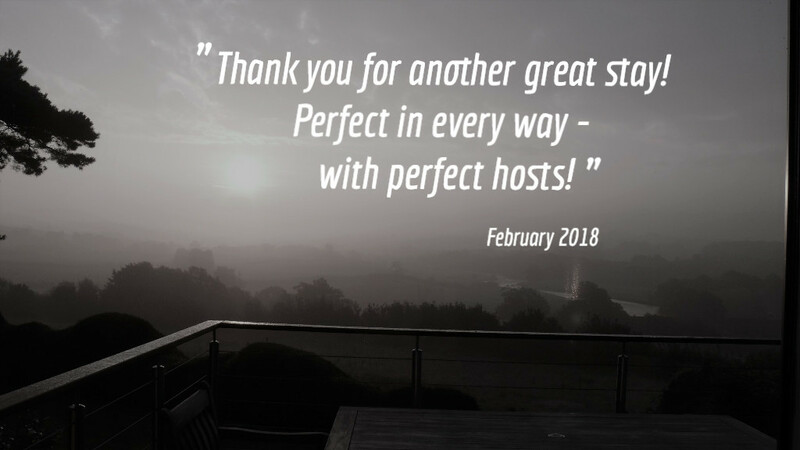 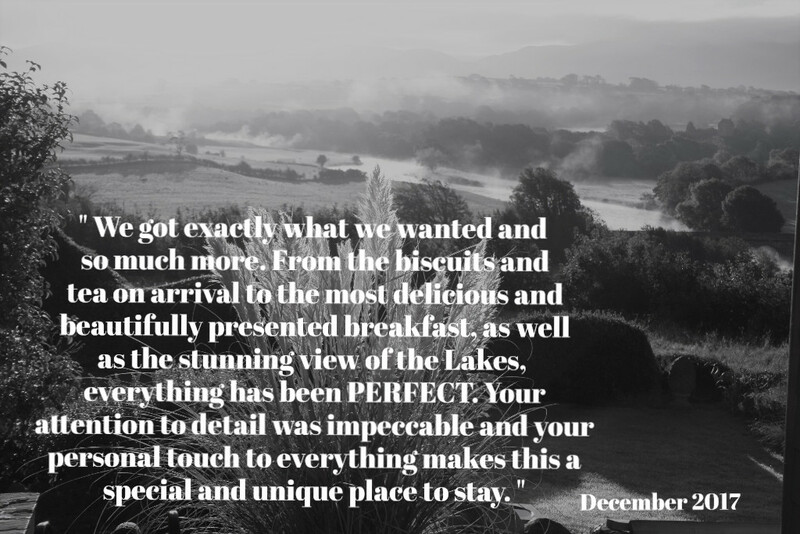 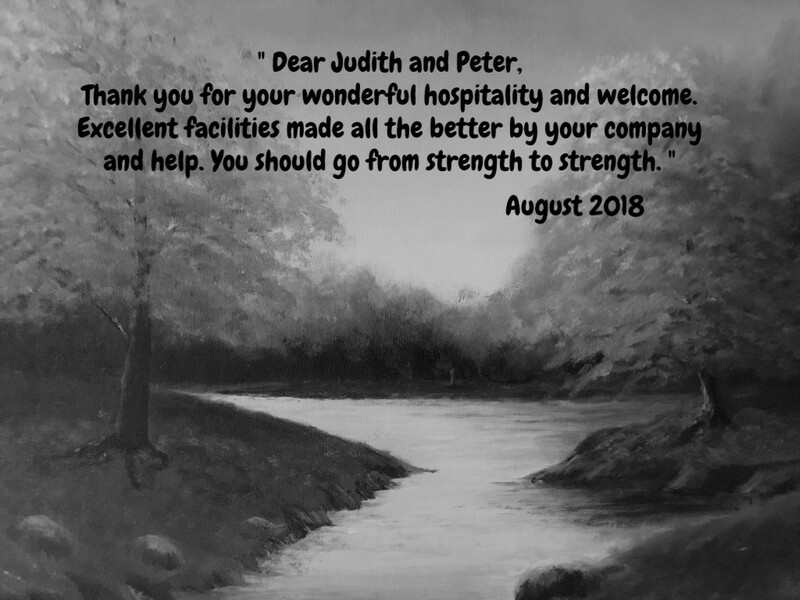 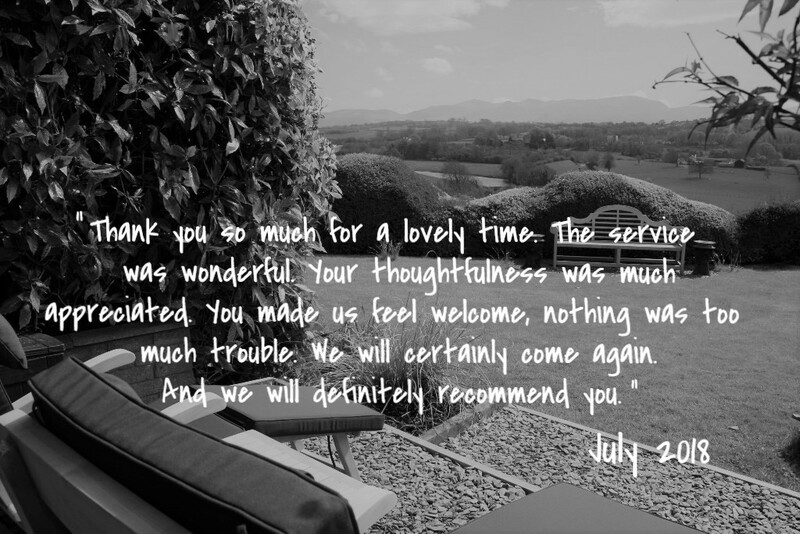 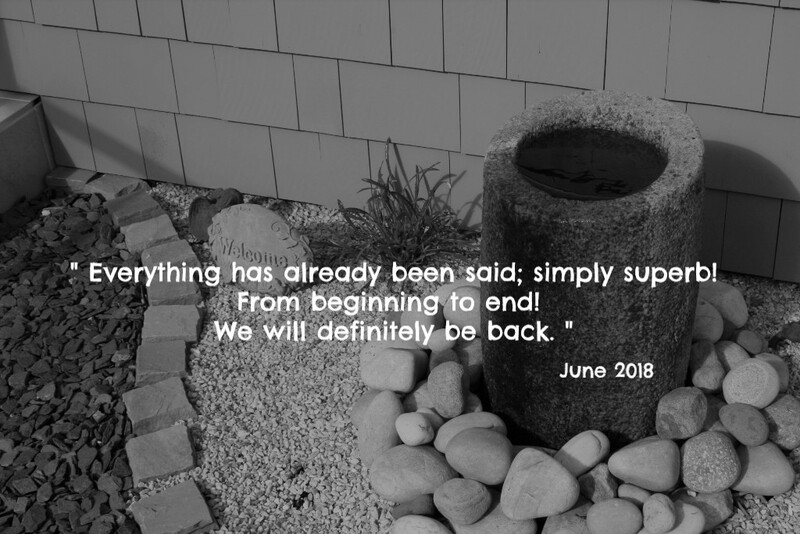 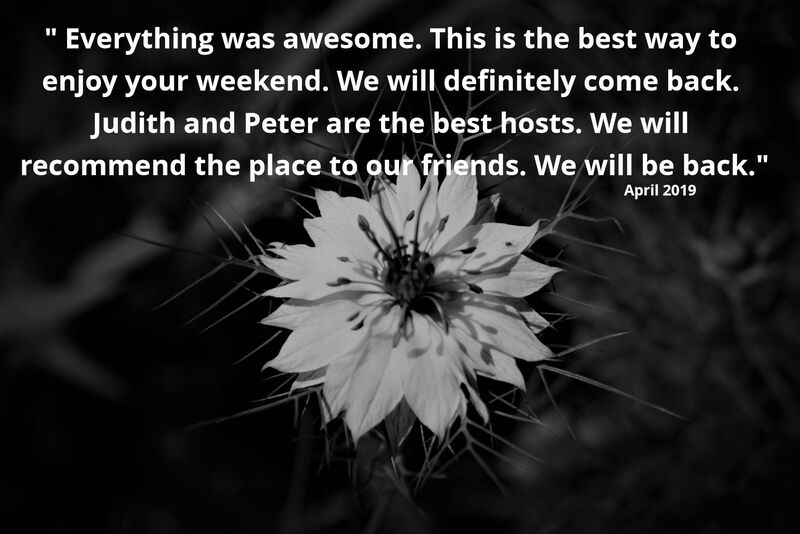 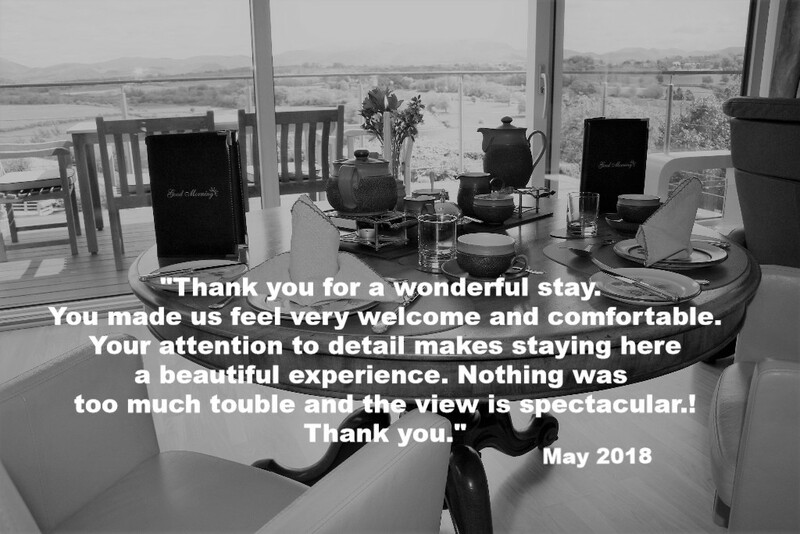 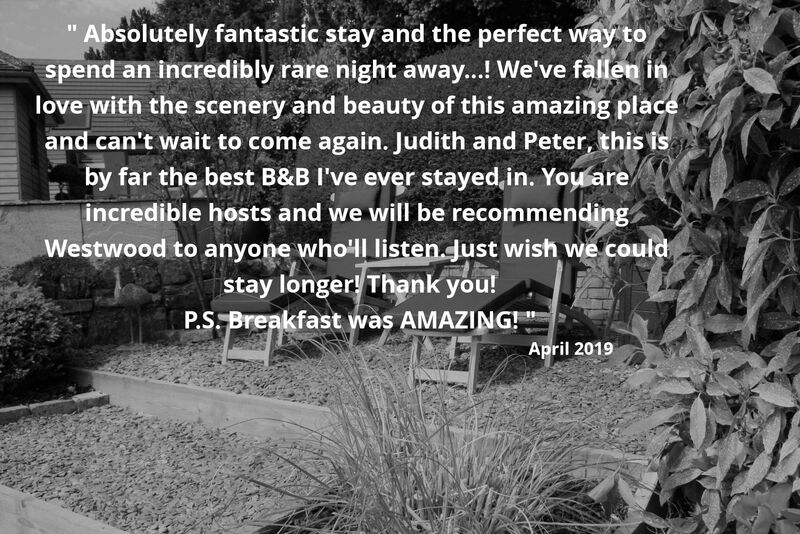 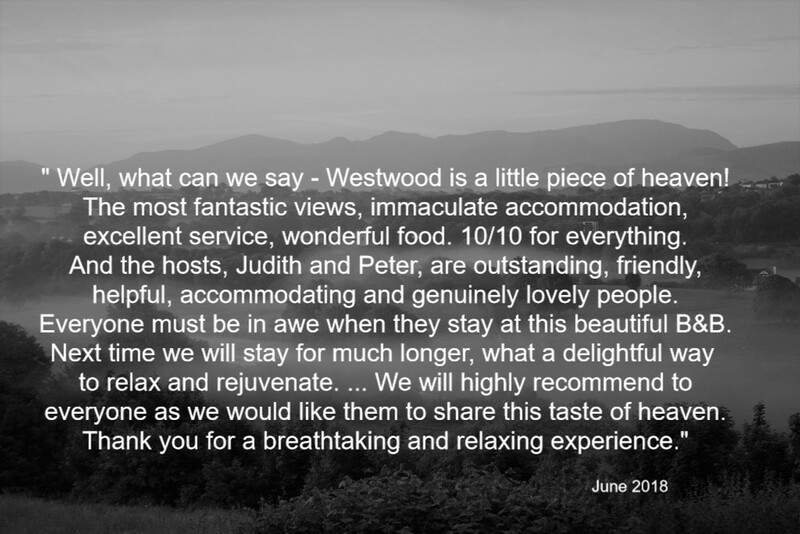 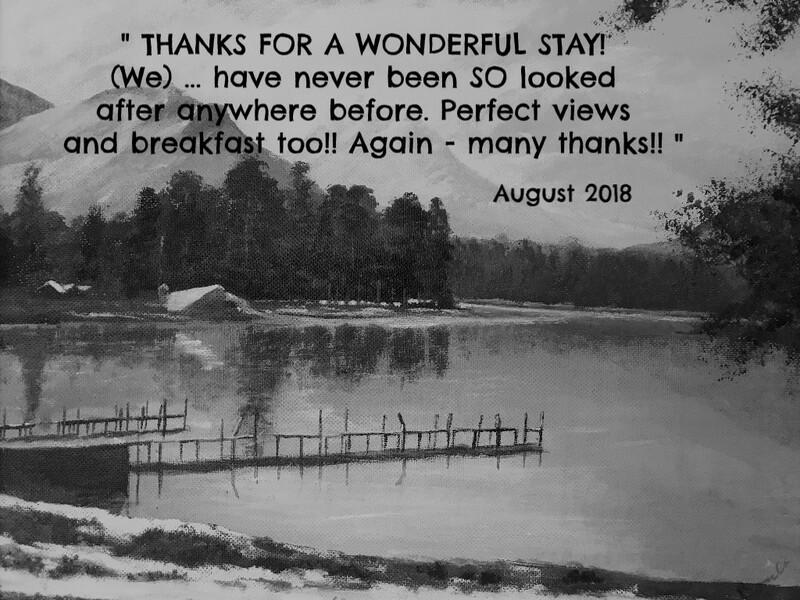 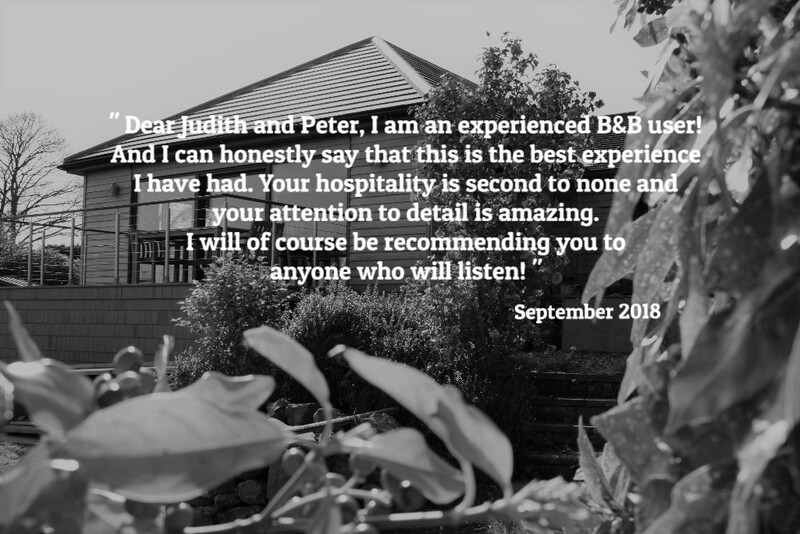 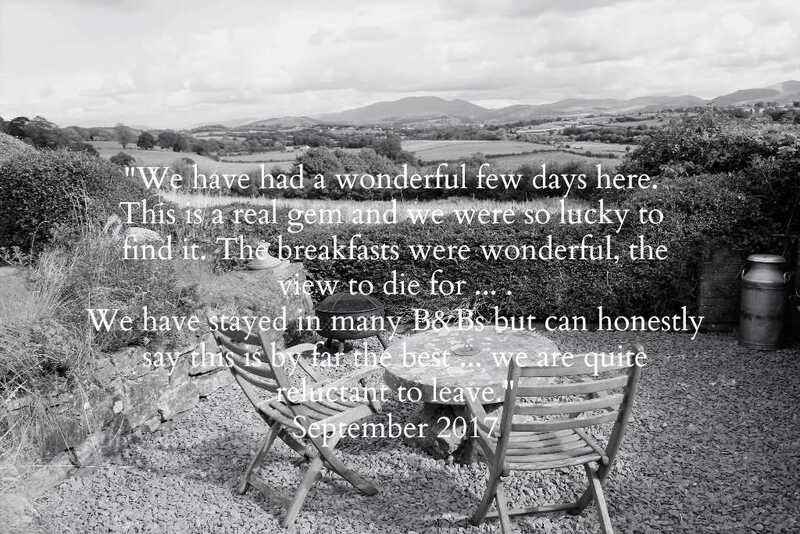 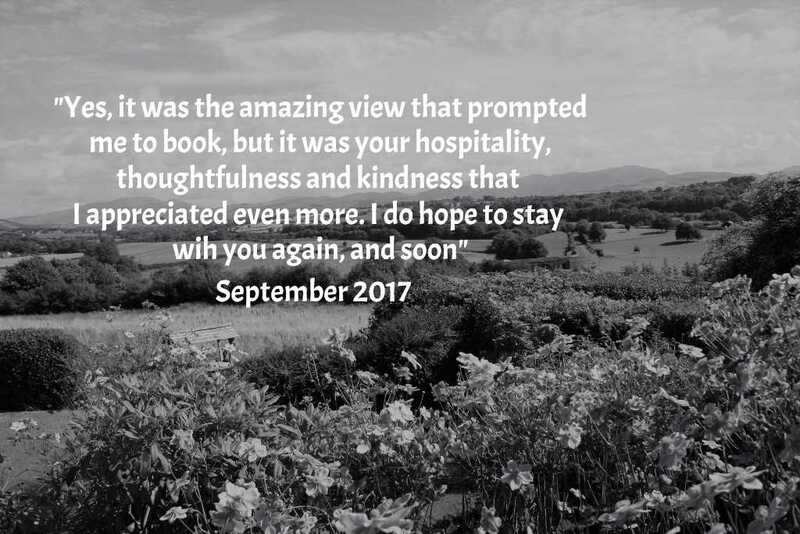 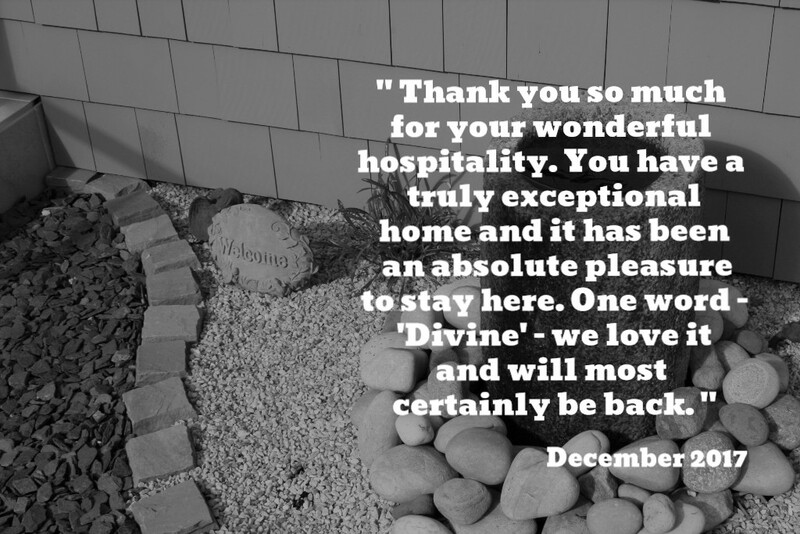 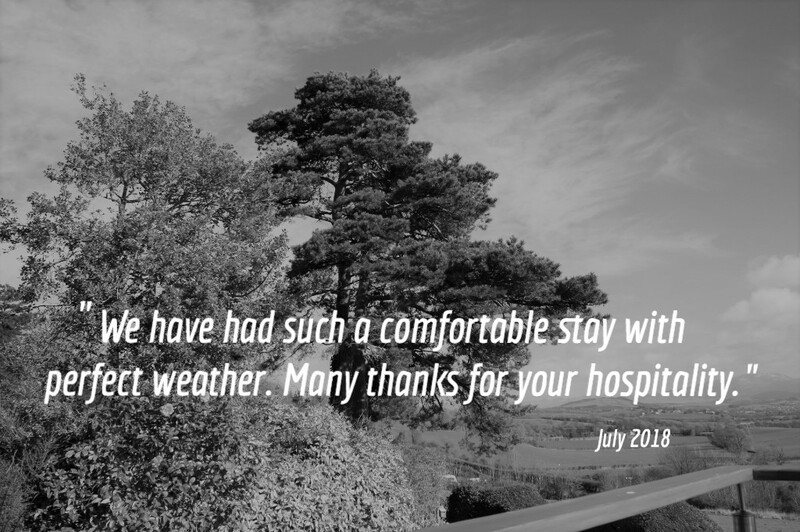 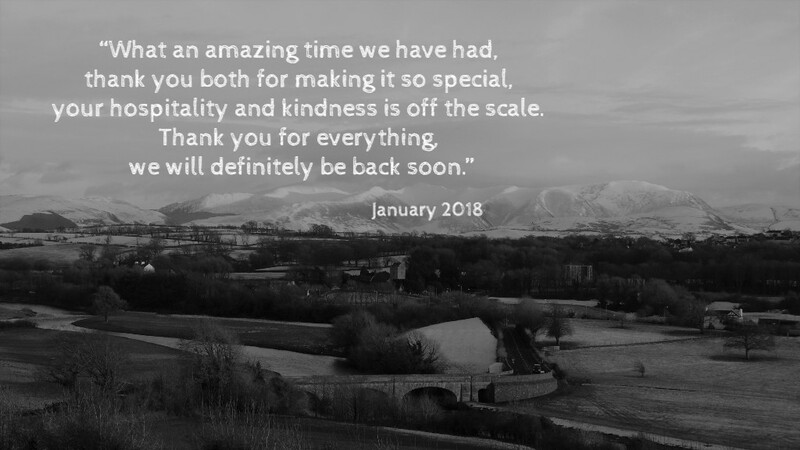 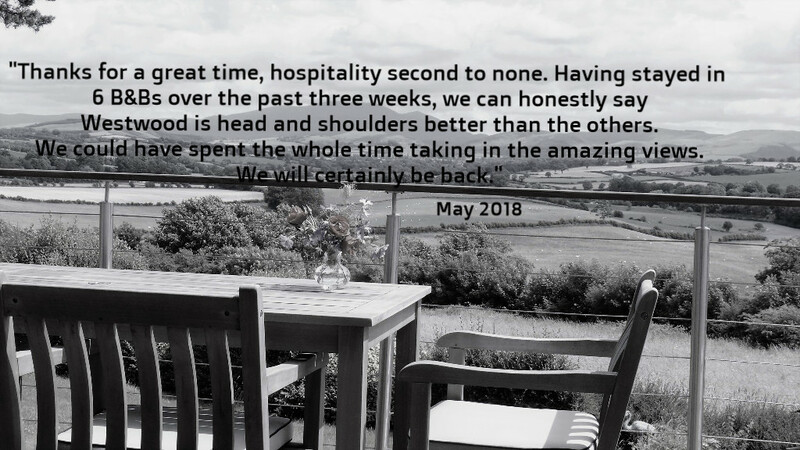 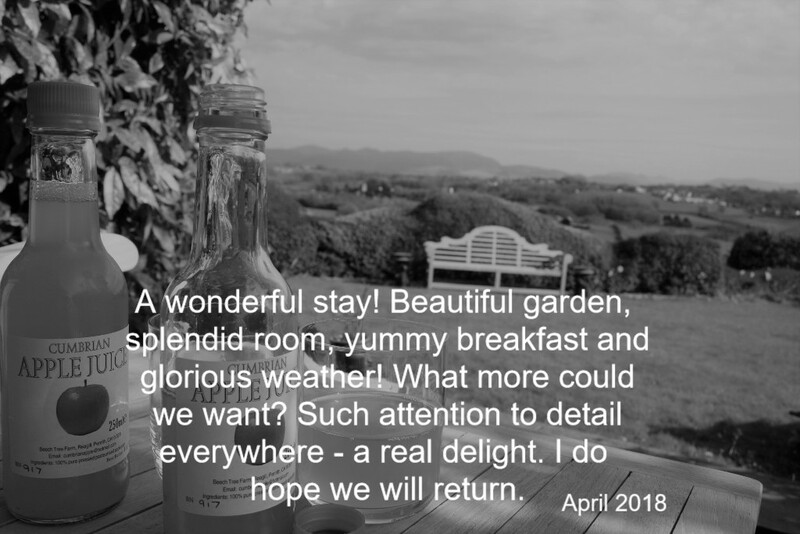 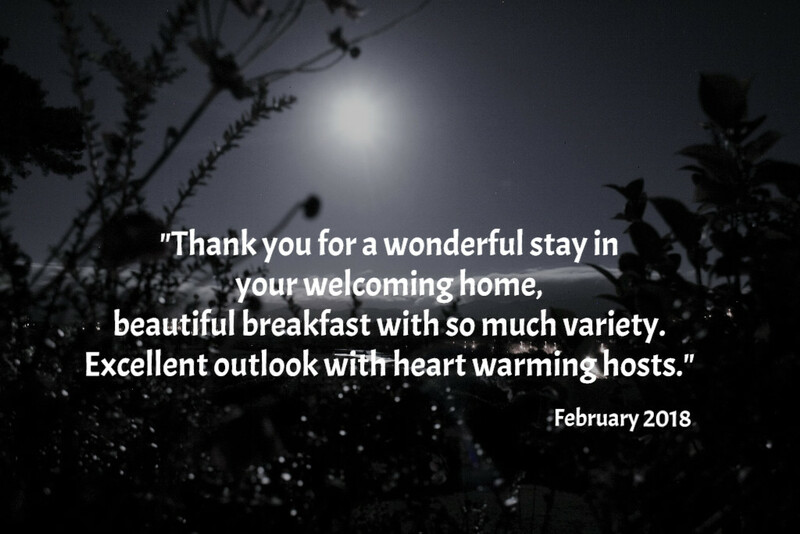 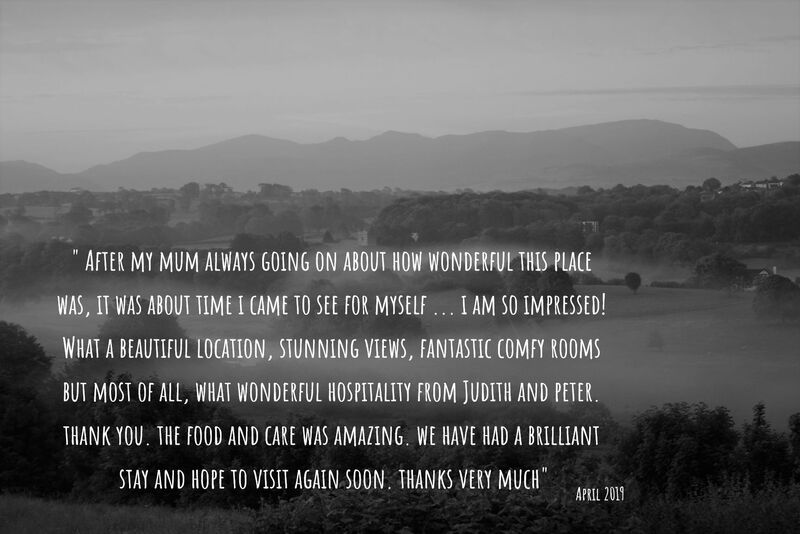 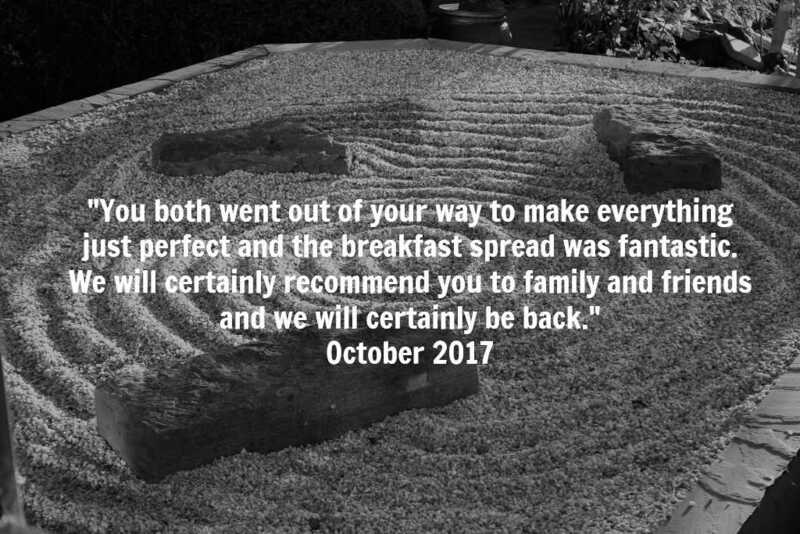 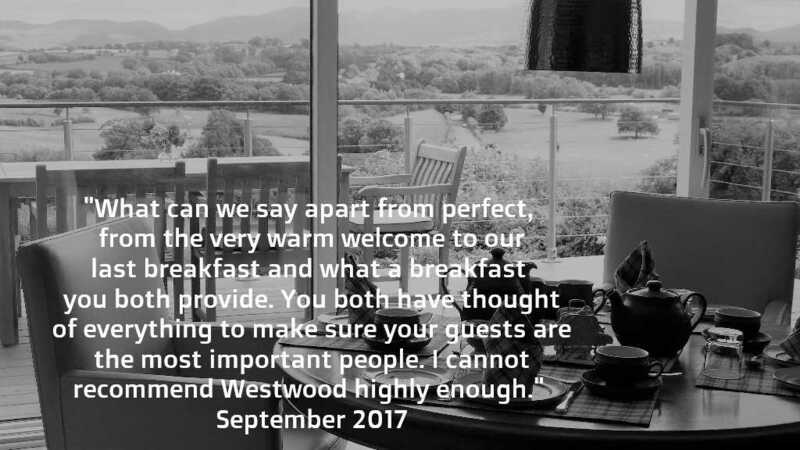 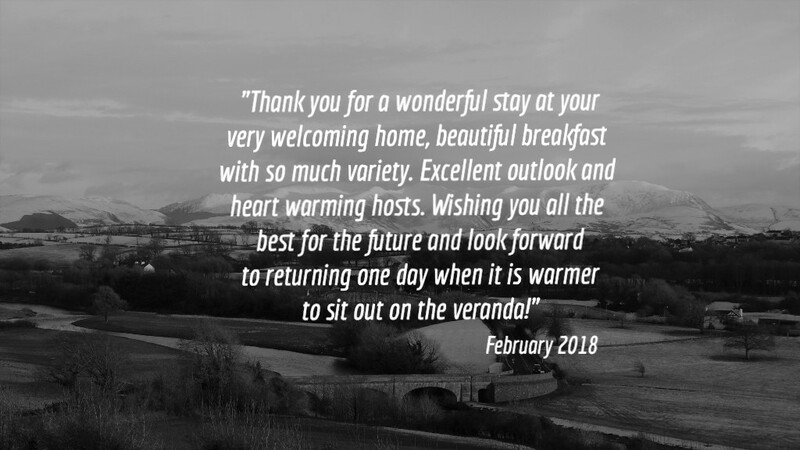 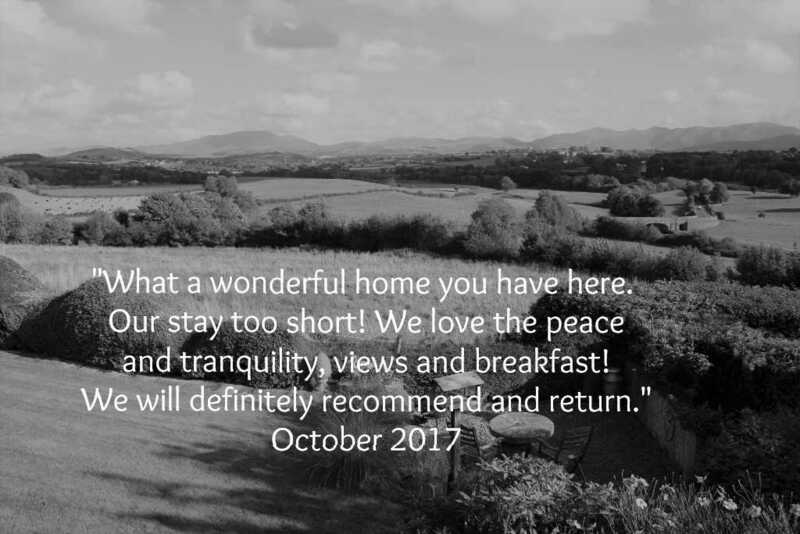 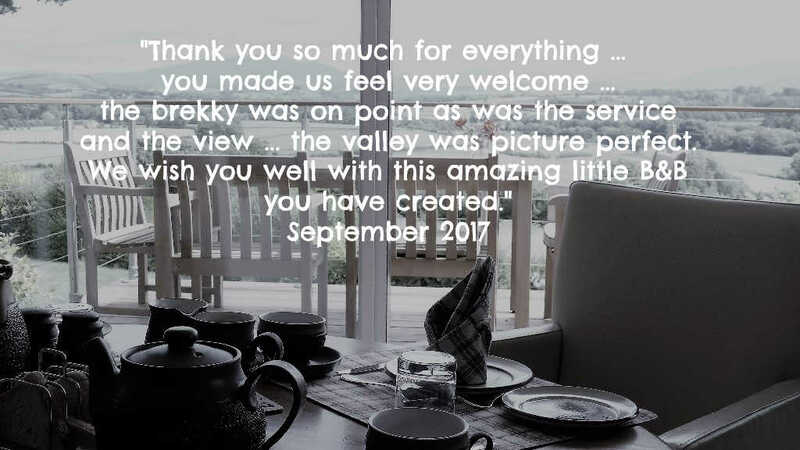 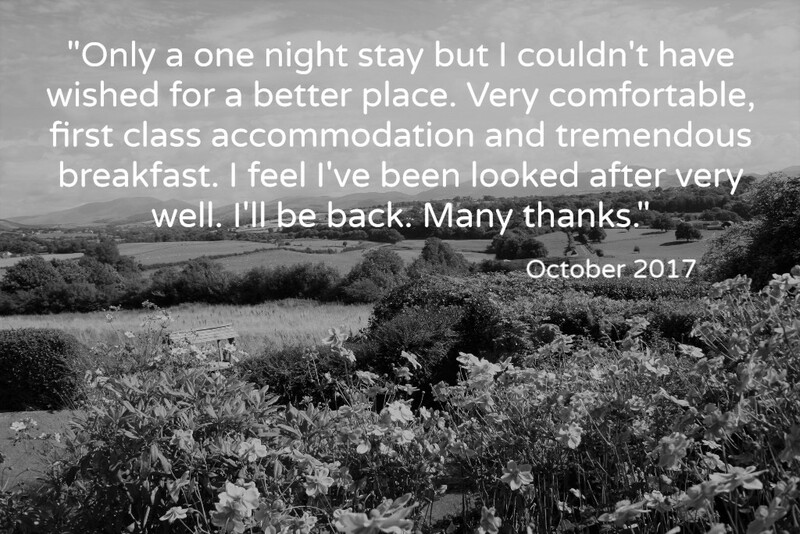 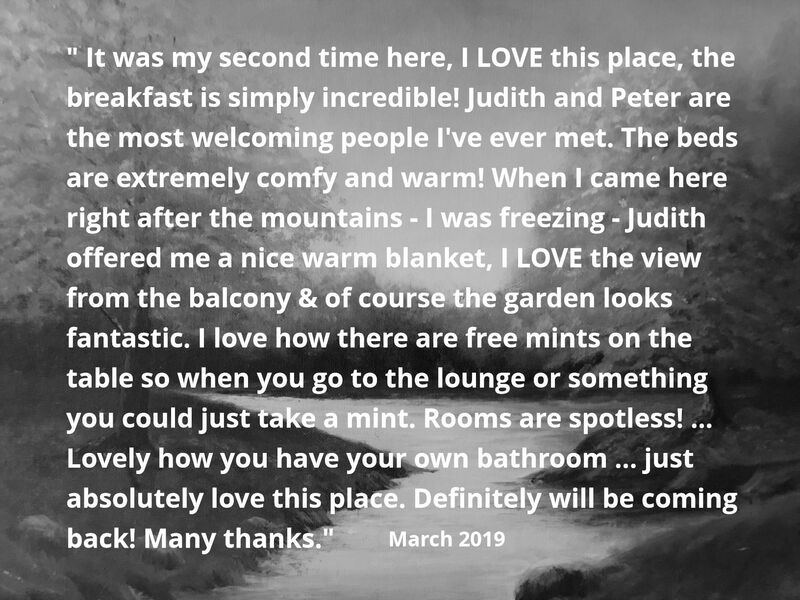 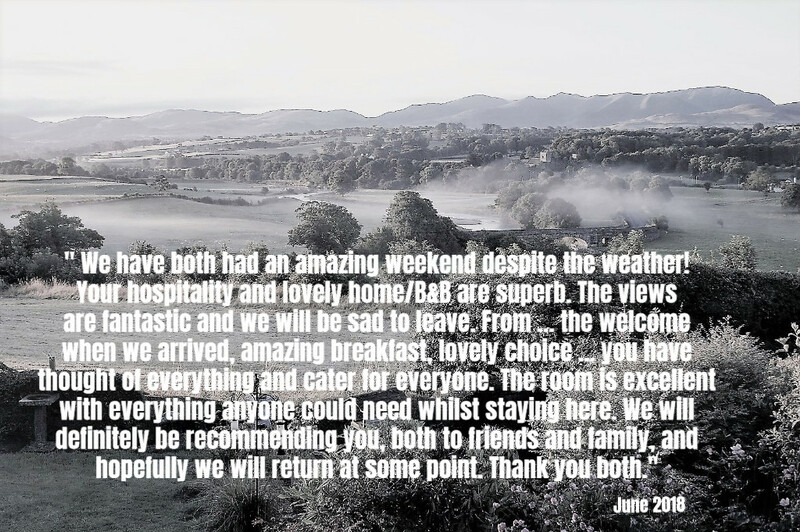 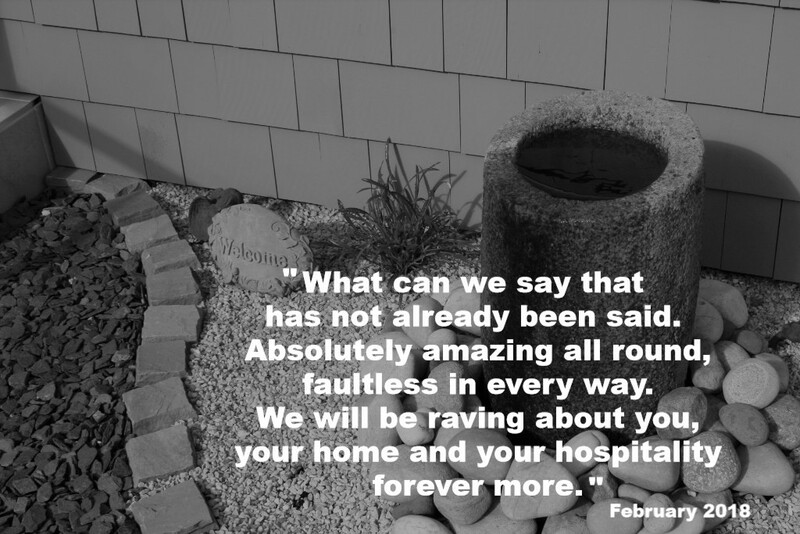 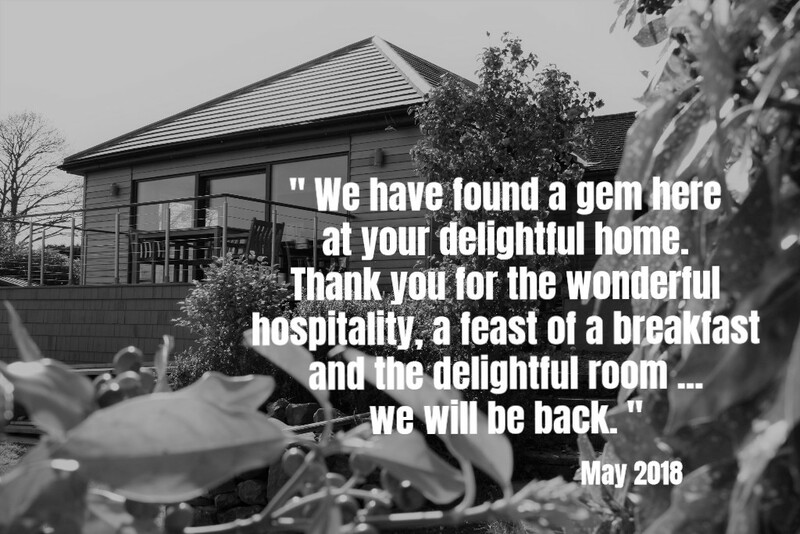 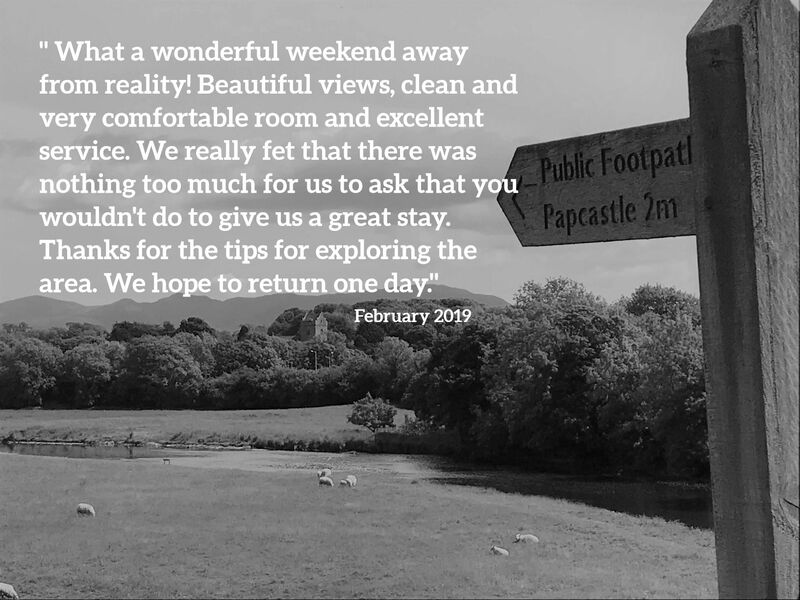 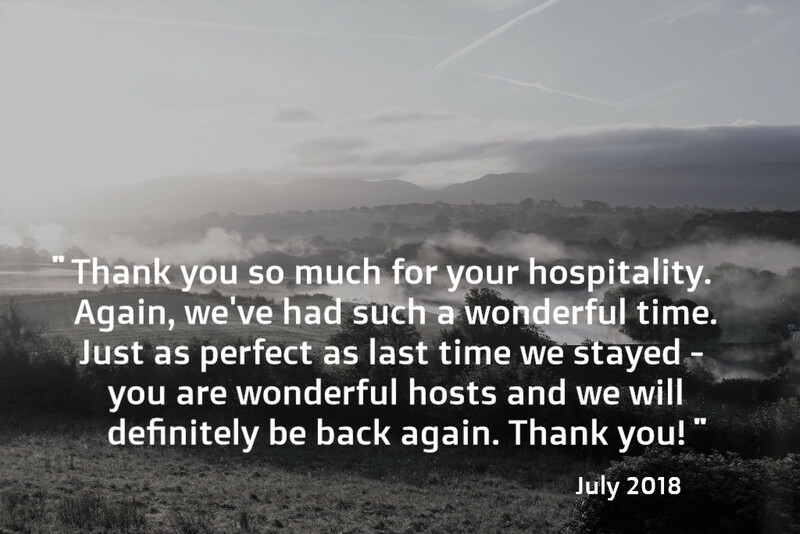 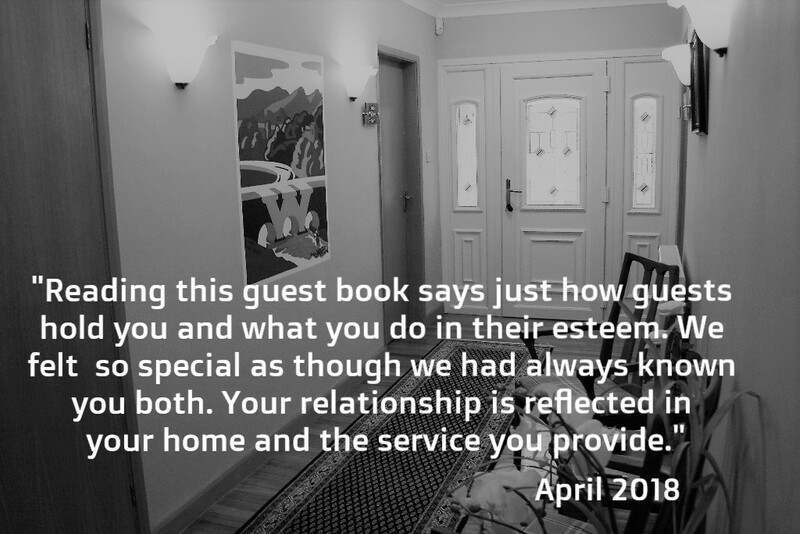 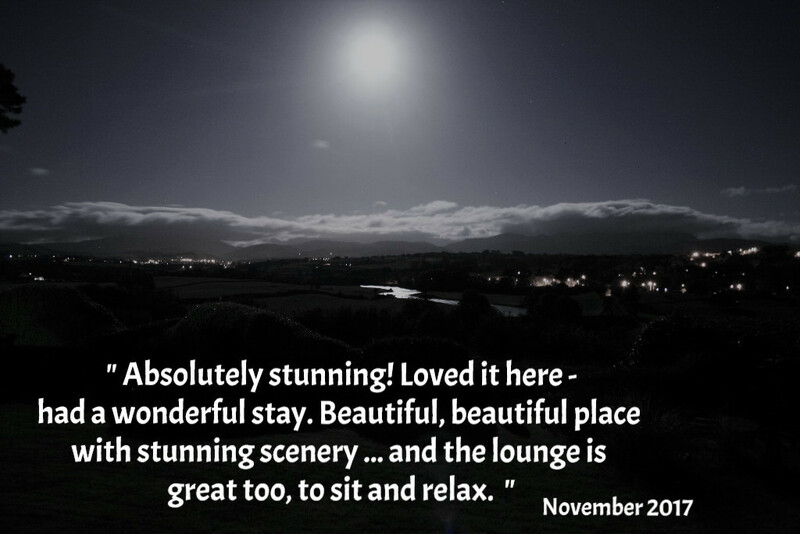 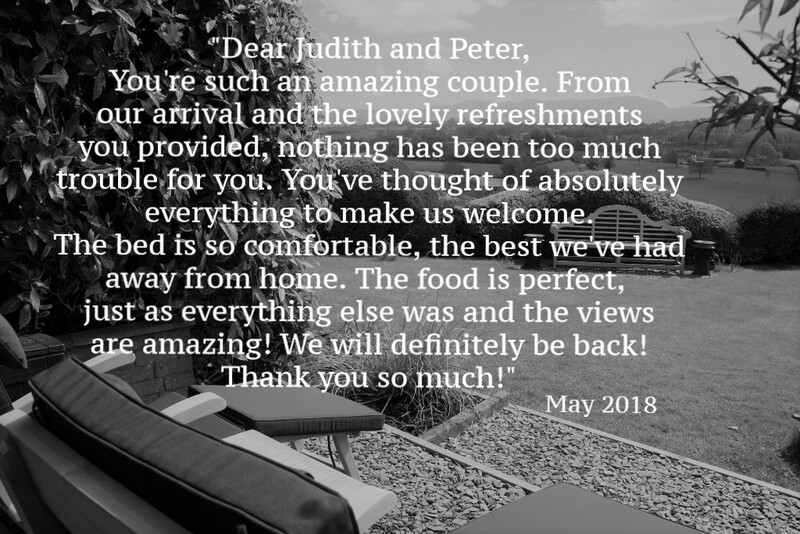 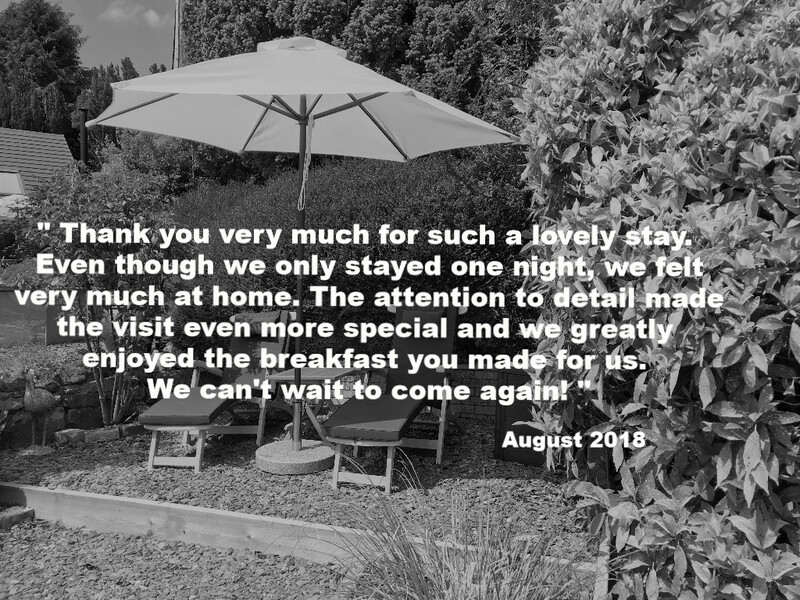 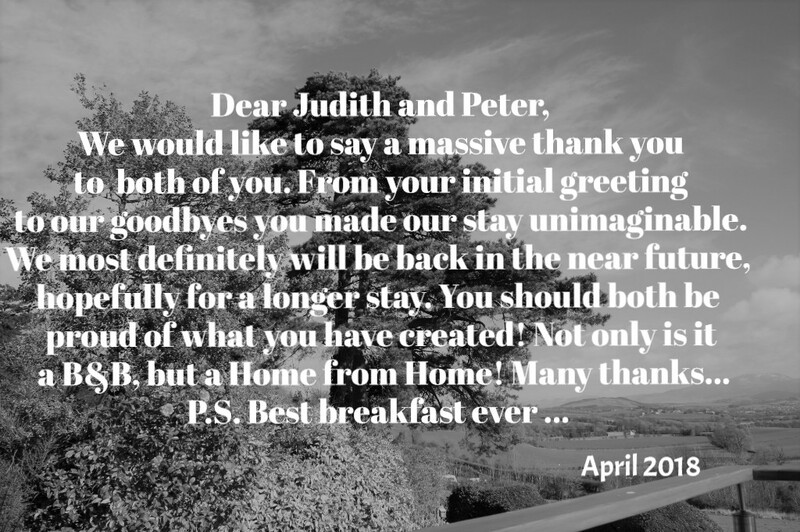 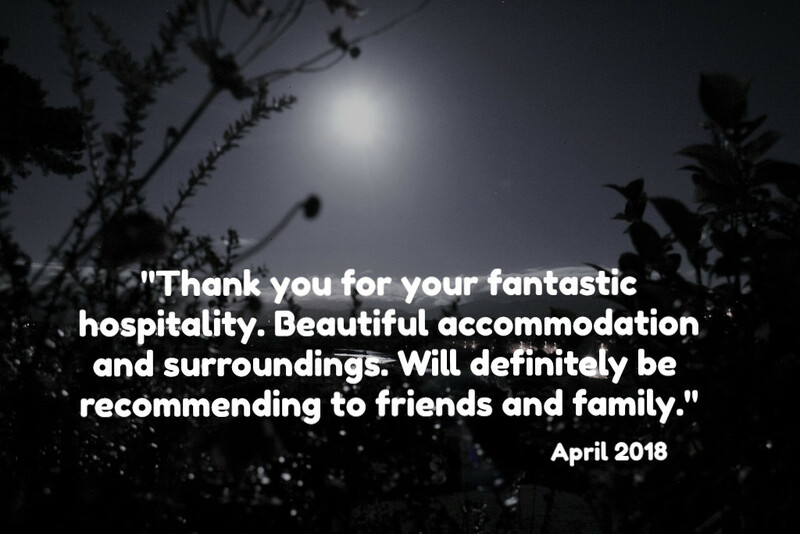 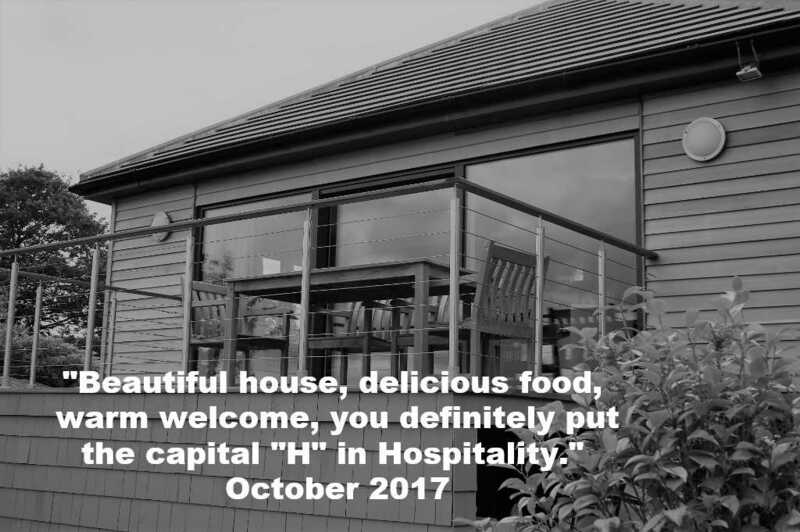 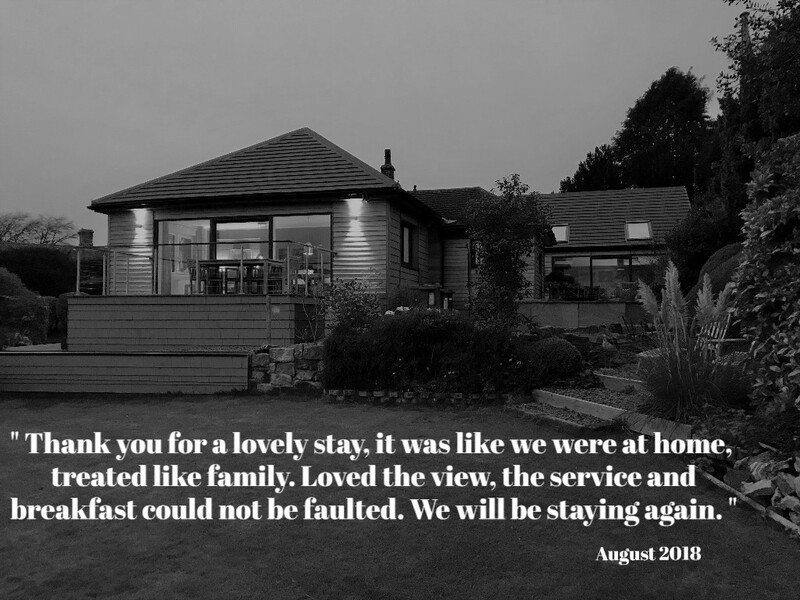 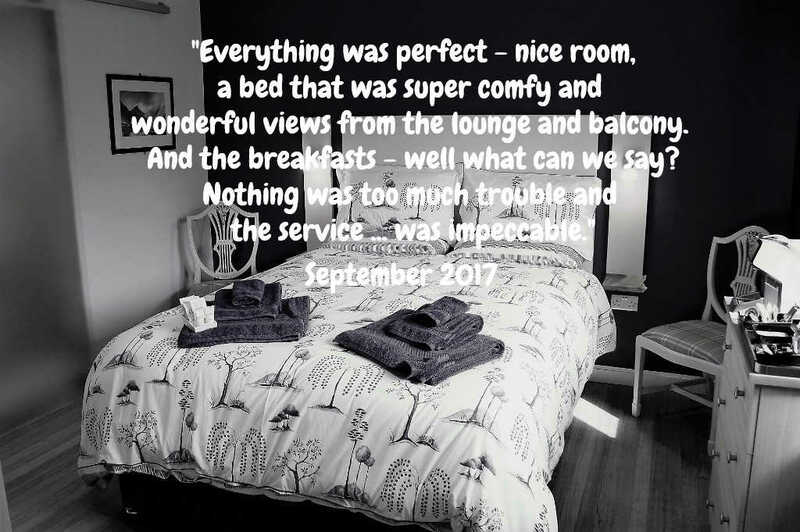 We treasure these comments and hope to add to them over the years - sharing them with those of you who are interested in what is important to our guests and us. 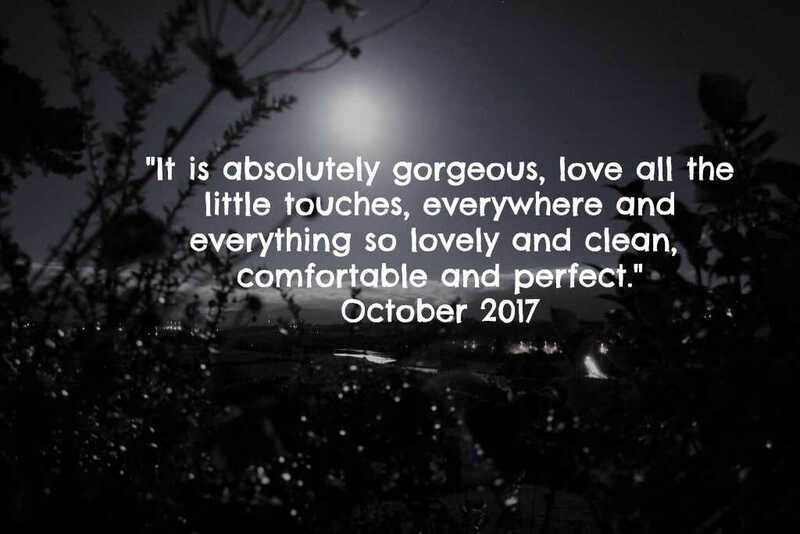 The reviews are in chronological order. 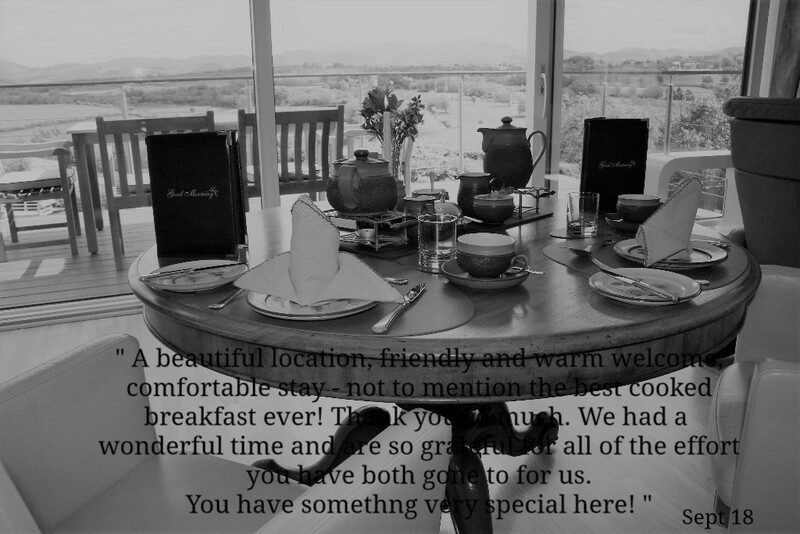 The reason you will not find names here is because we respect the data protection of our guests in the World Wide Web. 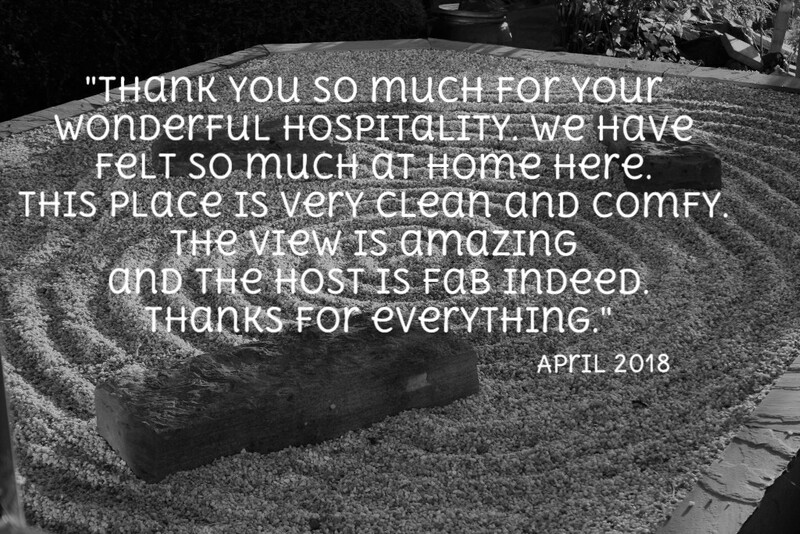 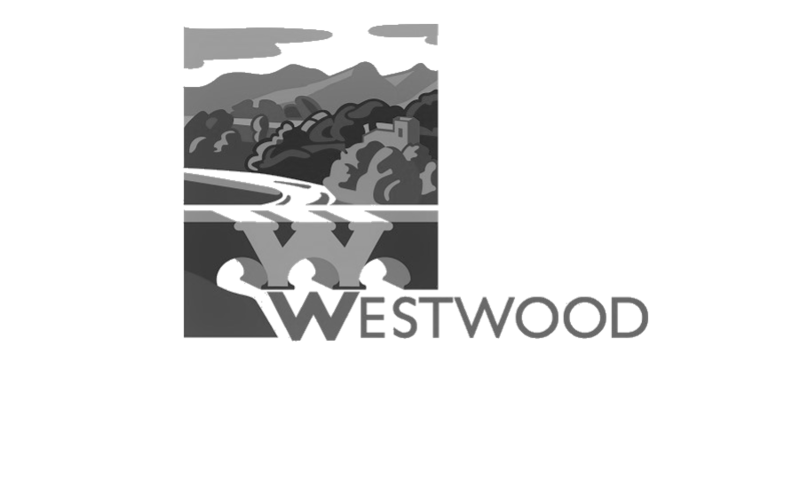 Full comments and names are in our handwritten guest book which is open to further guests when they stay with us in Westwood. 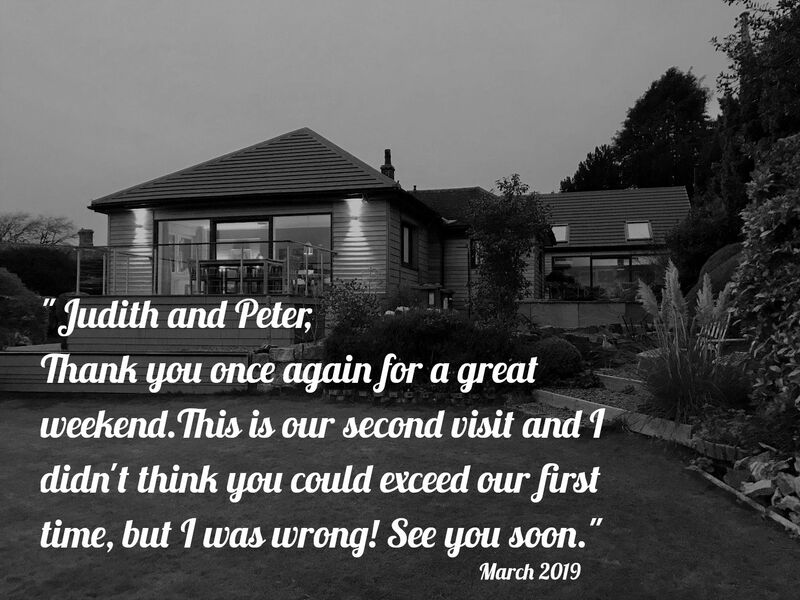 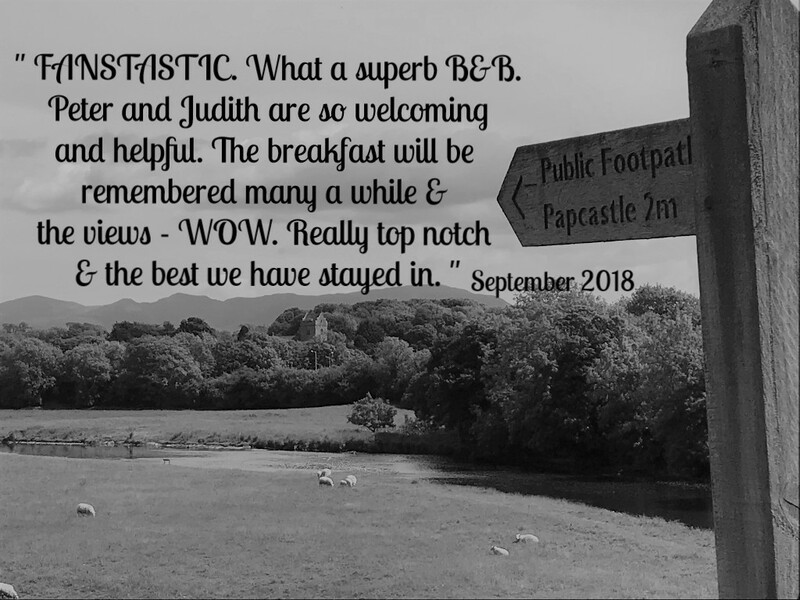 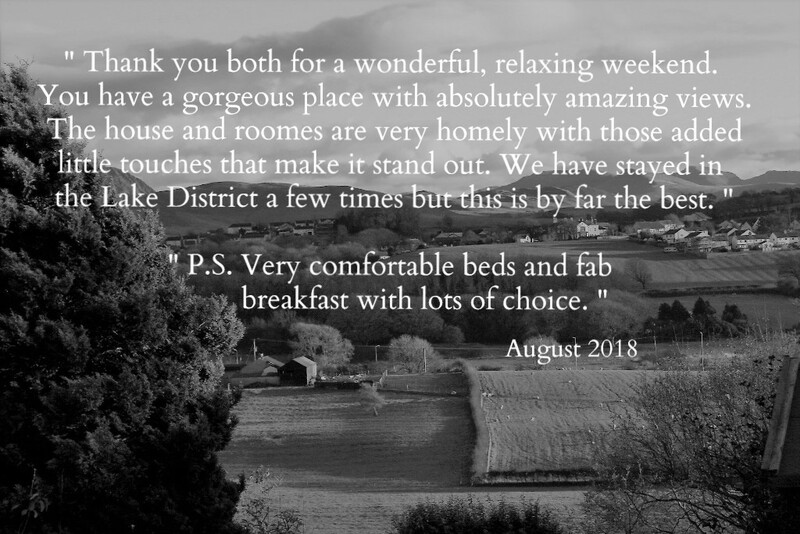 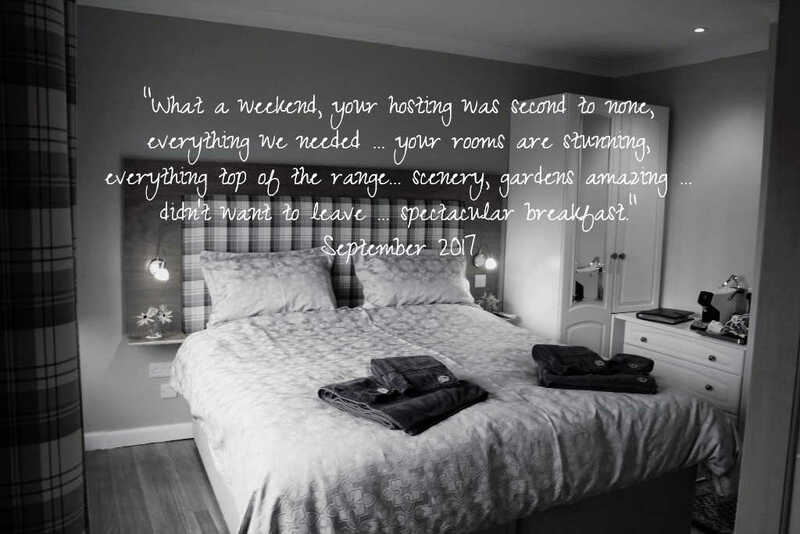 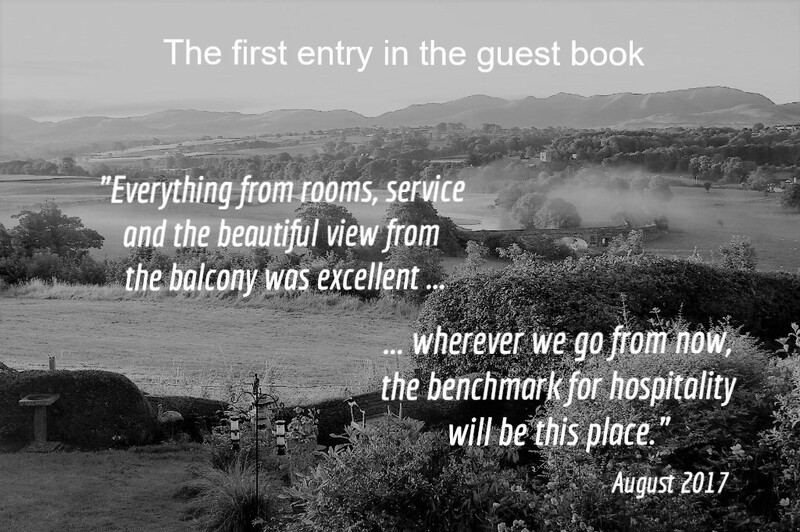 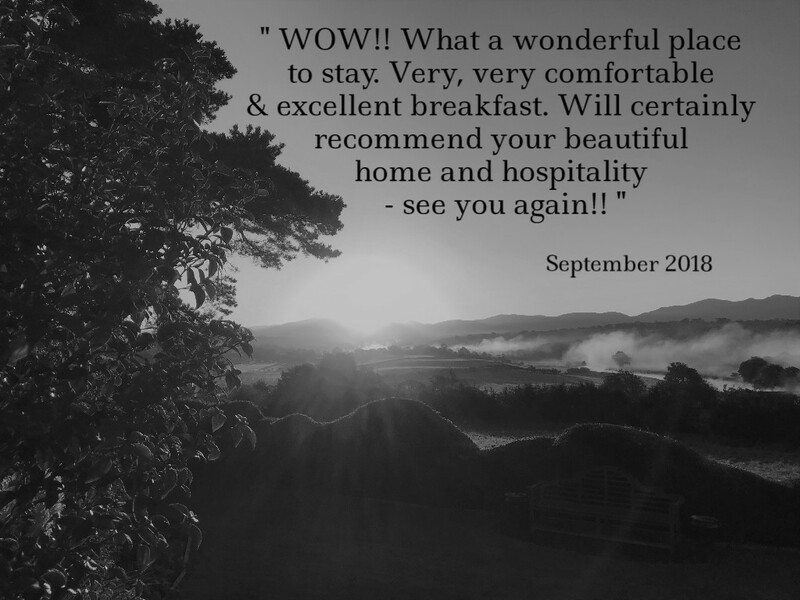 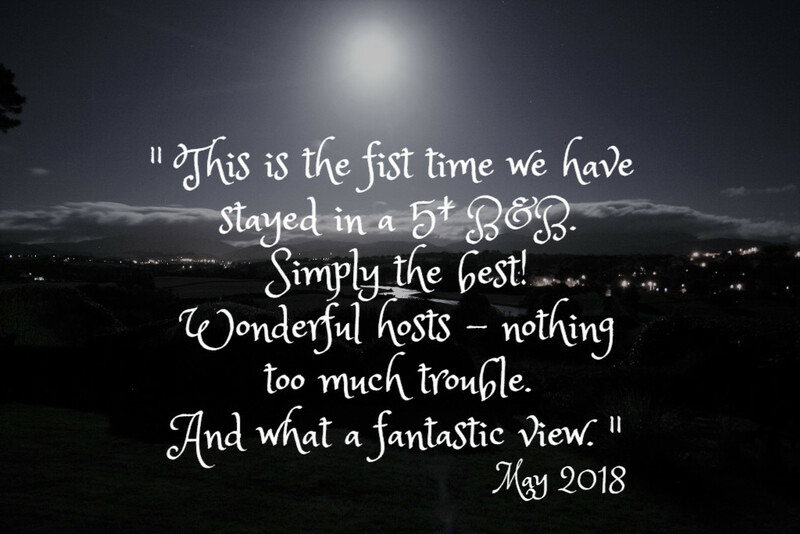 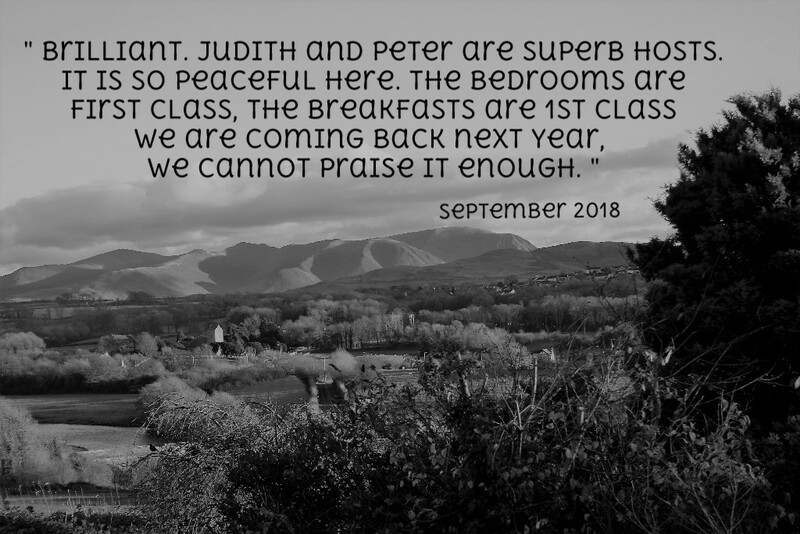 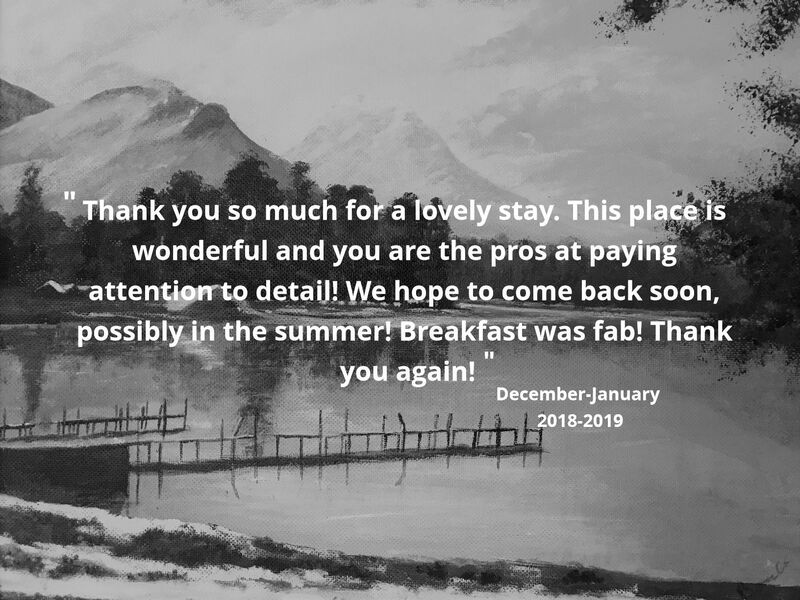 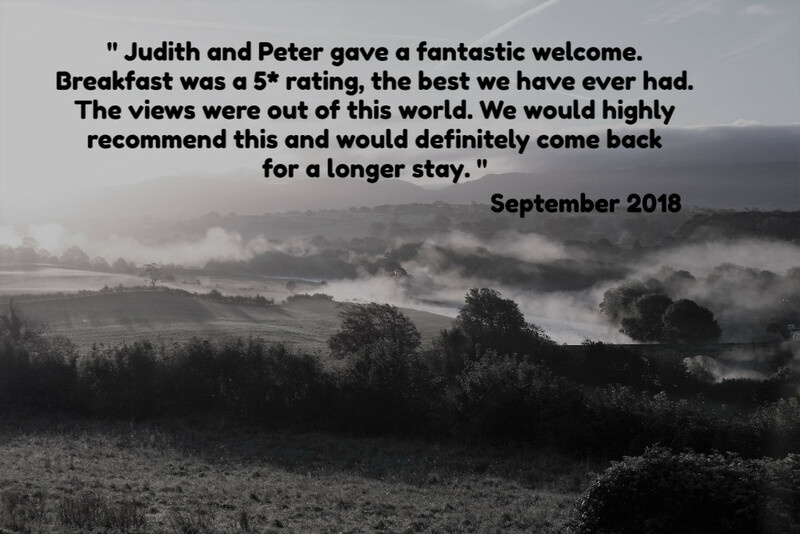 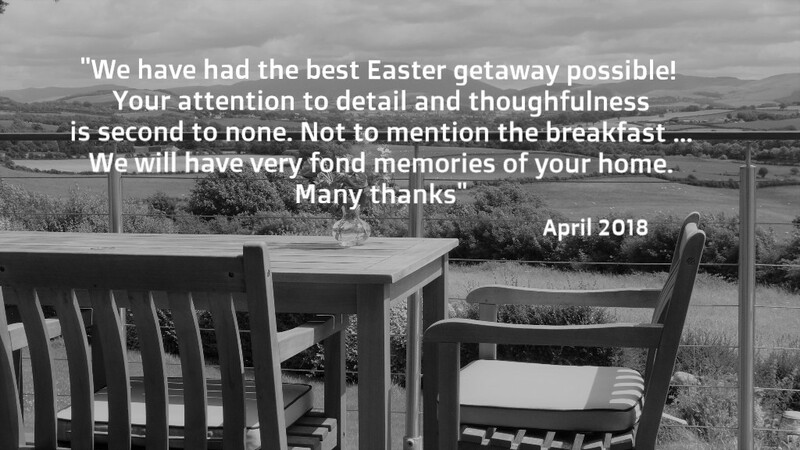 However, these guest book pages represent only some of our reviews and we do, of course, also have reviews online from wonderful people who take the time and trouble to write on Trip Advisor, Google, BedandBreakfasteu, booking.com and in future, we hope, Cumbria Guru.. 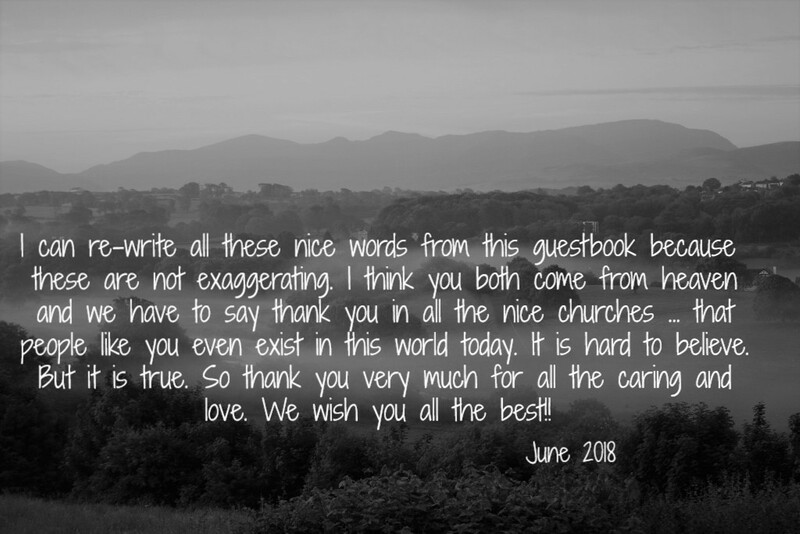 The memory of the thrill when reading the first comment in our guestbook remains very much alive. 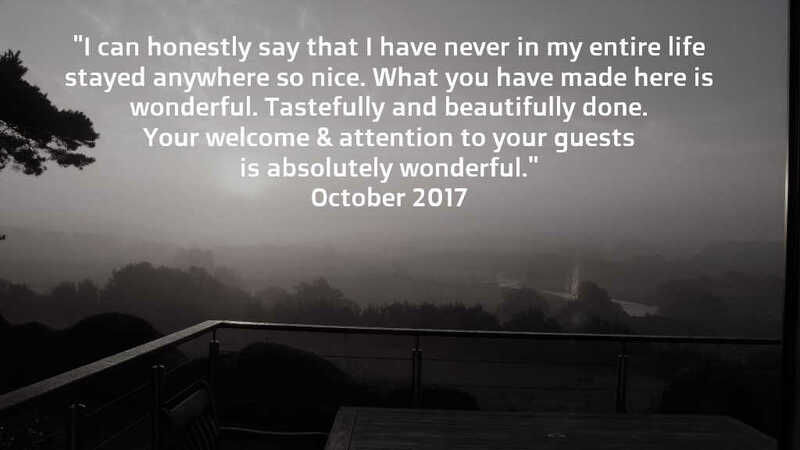 Our visitors' comments are a pick-me-up on a rainy day in front of the fire, they warm from within, too. 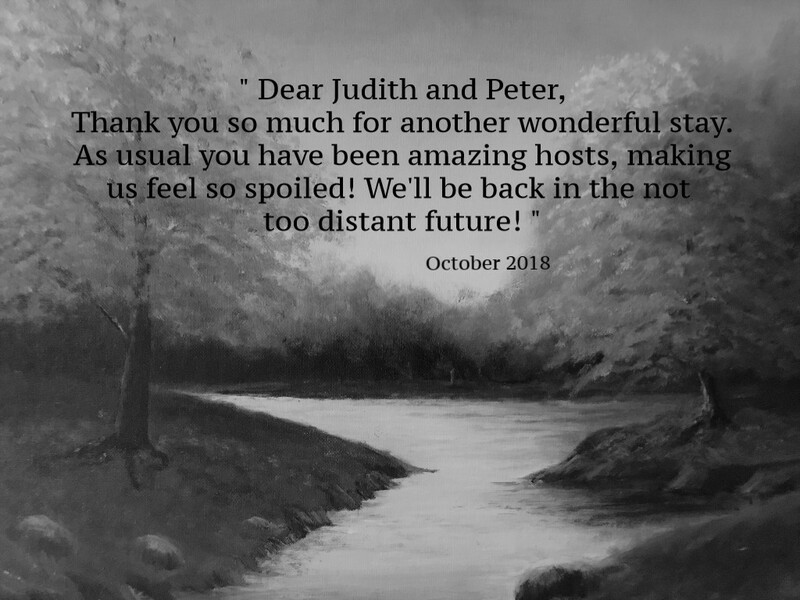 Thank you, too, for reading this. 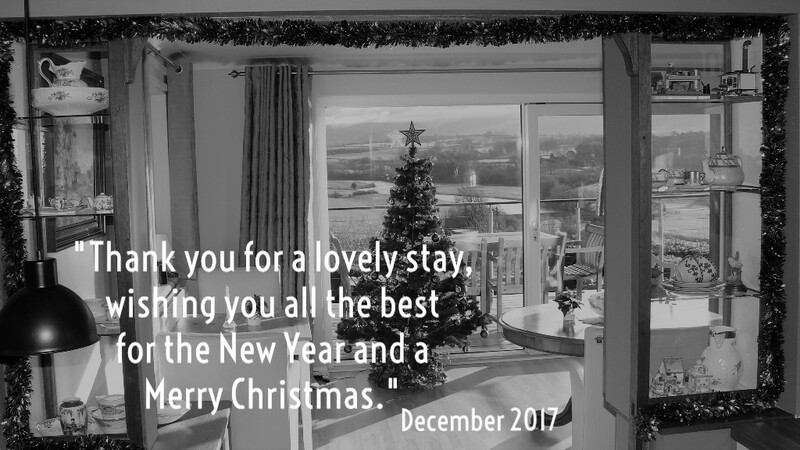 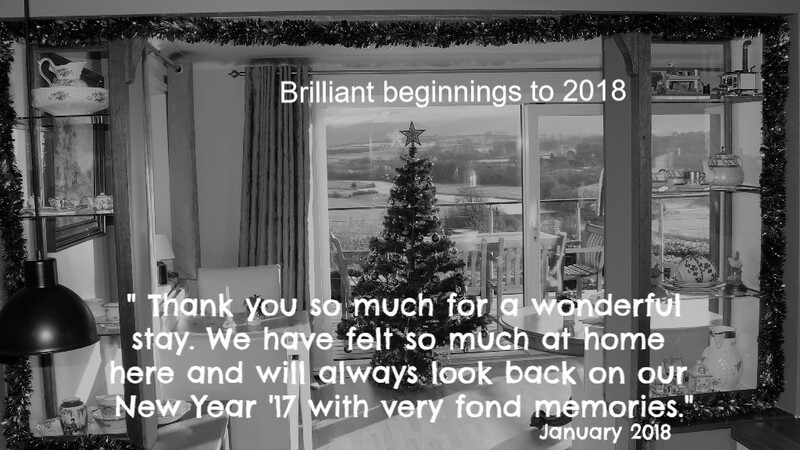 2018 got off to a great start with wonderful guests over the Christmas and New Year holiday. 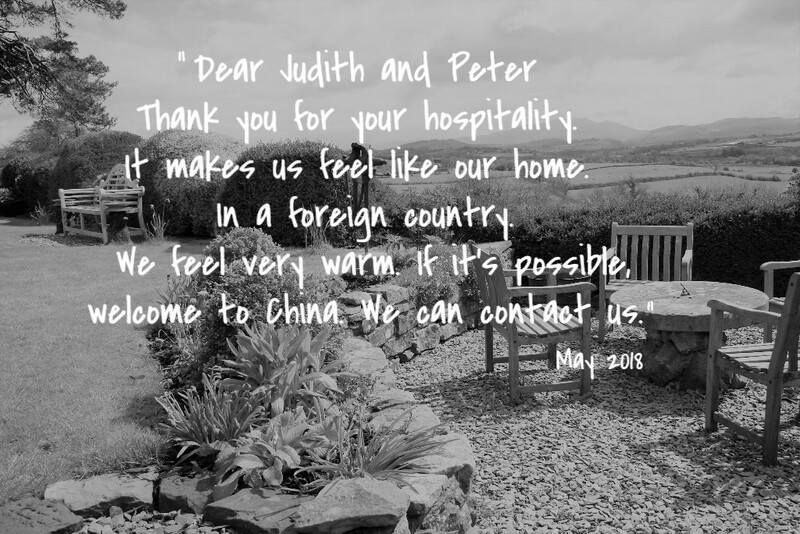 We consider ourselves very lucky to continue to be able to welcome interesting people from all over the world to our home. 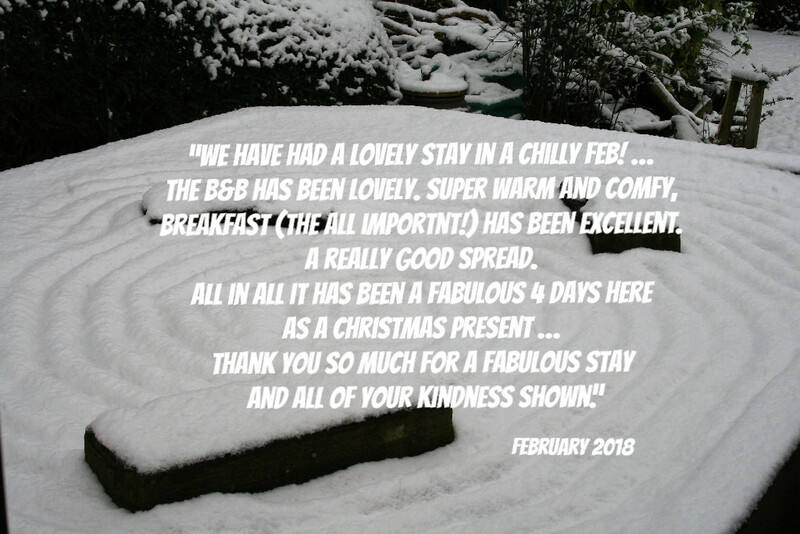 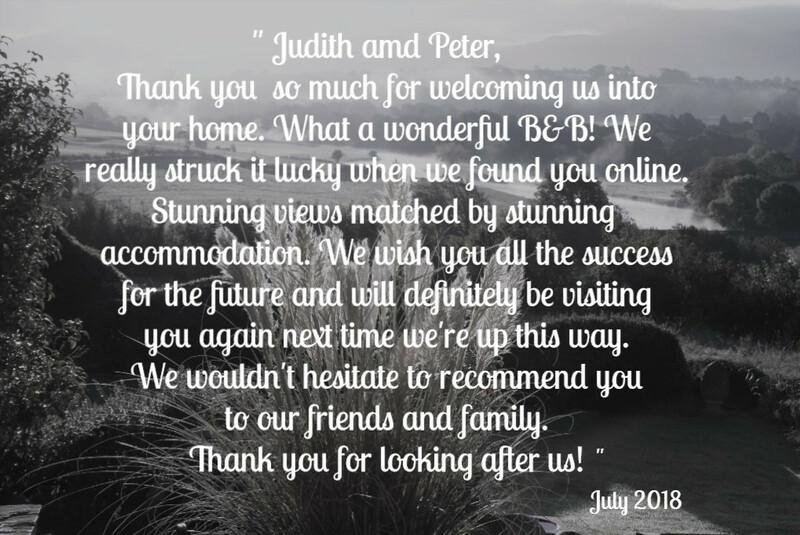 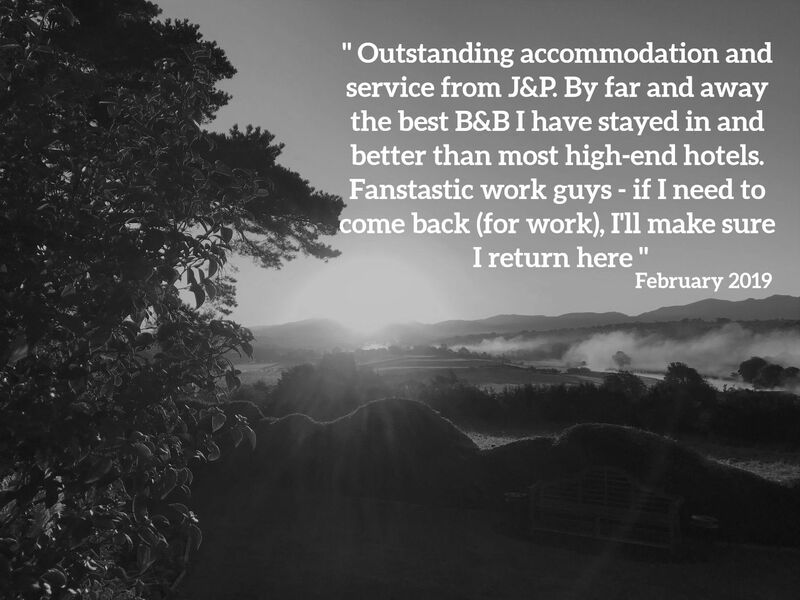 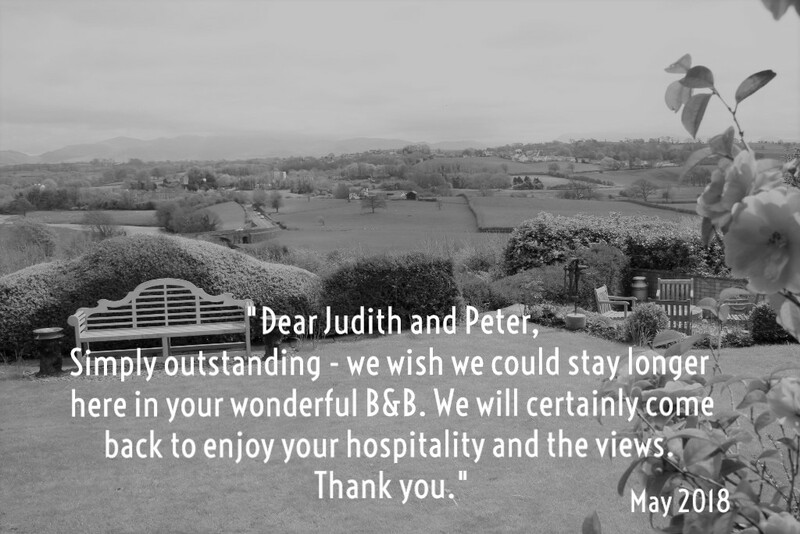 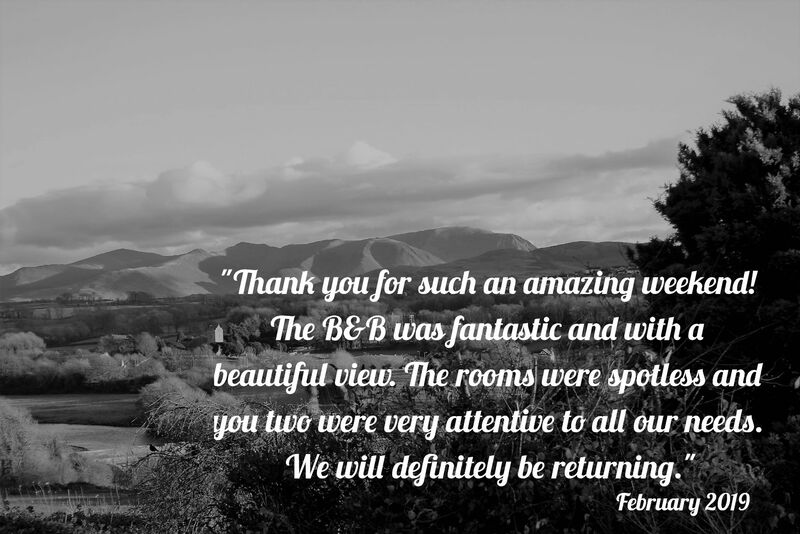 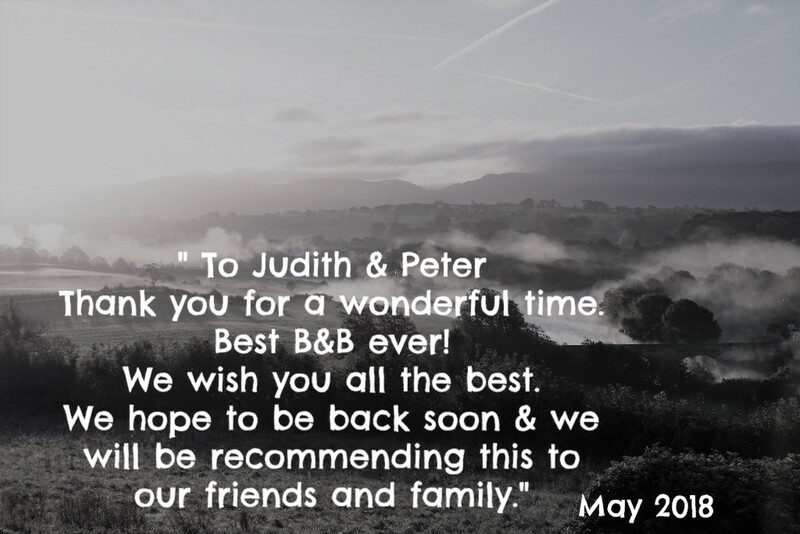 Our second full year as a gem B&B began with guests over Christmas and New Year. 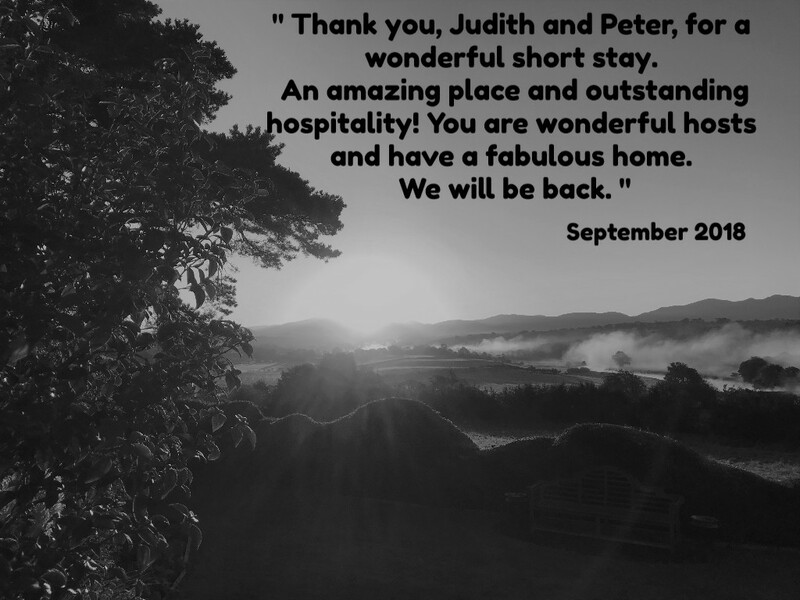 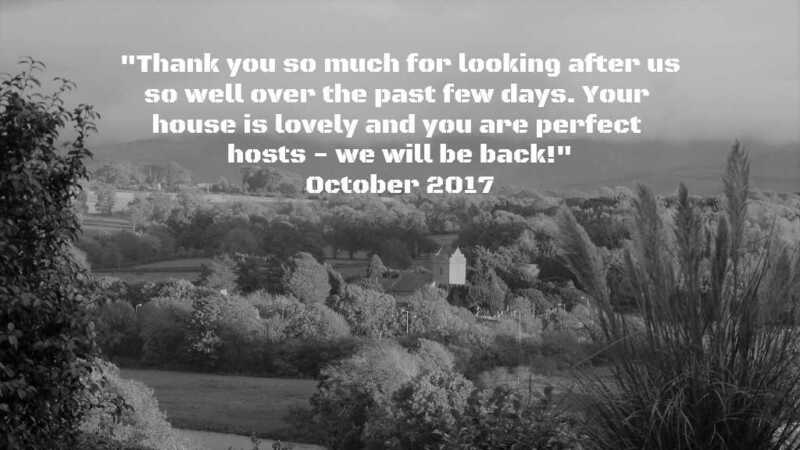 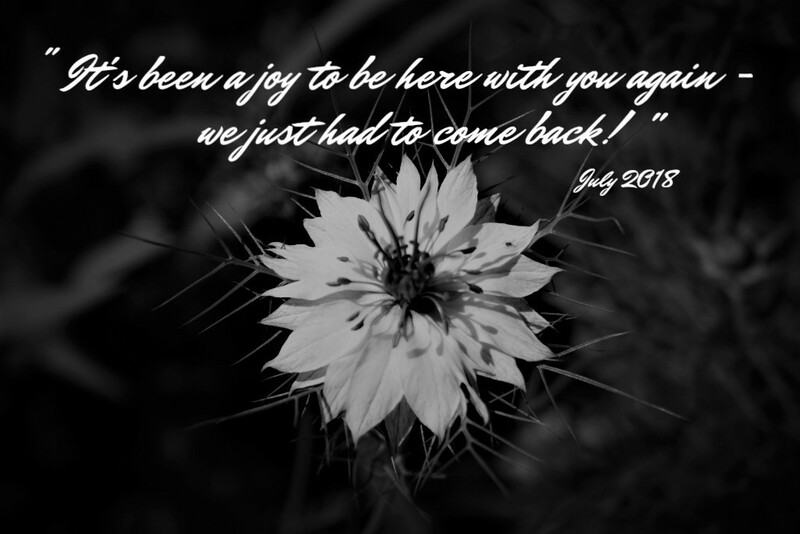 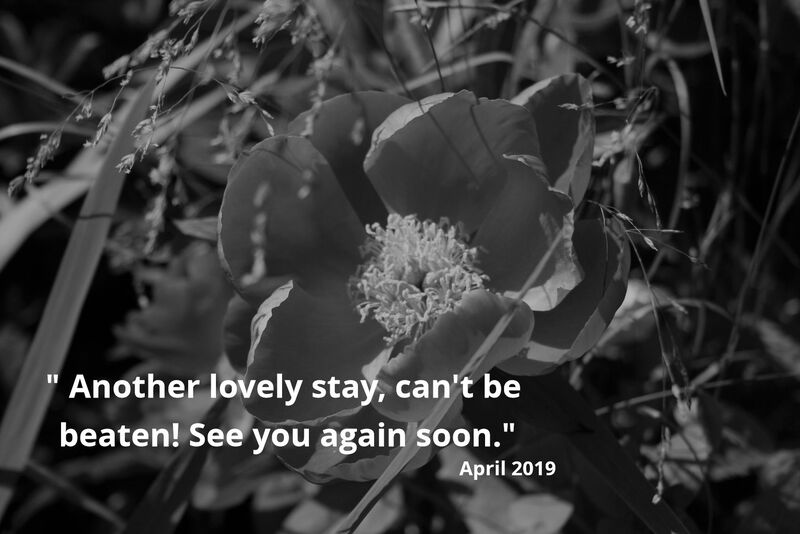 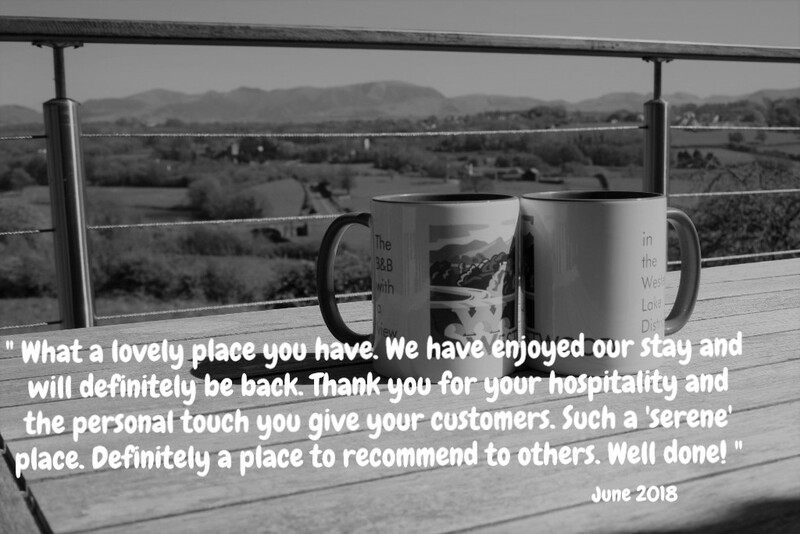 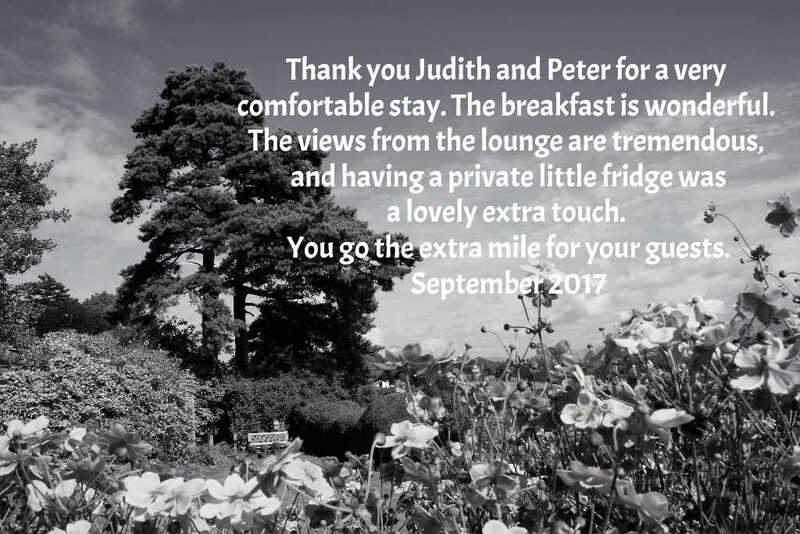 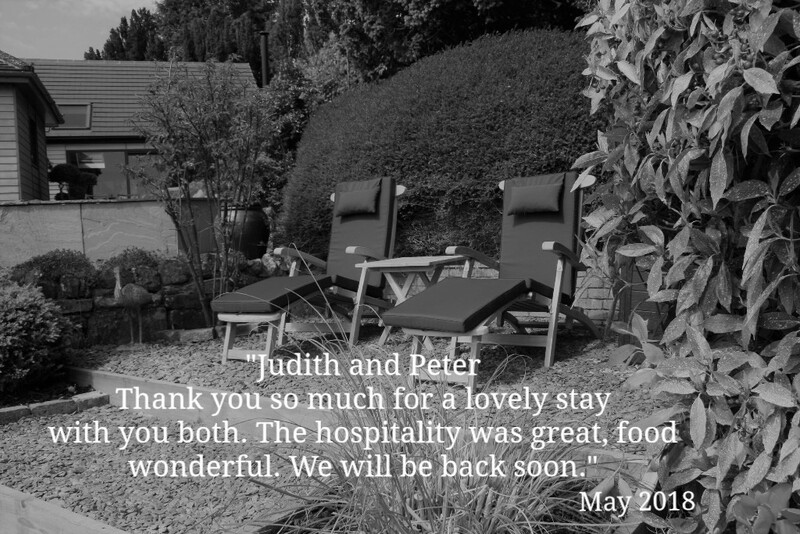 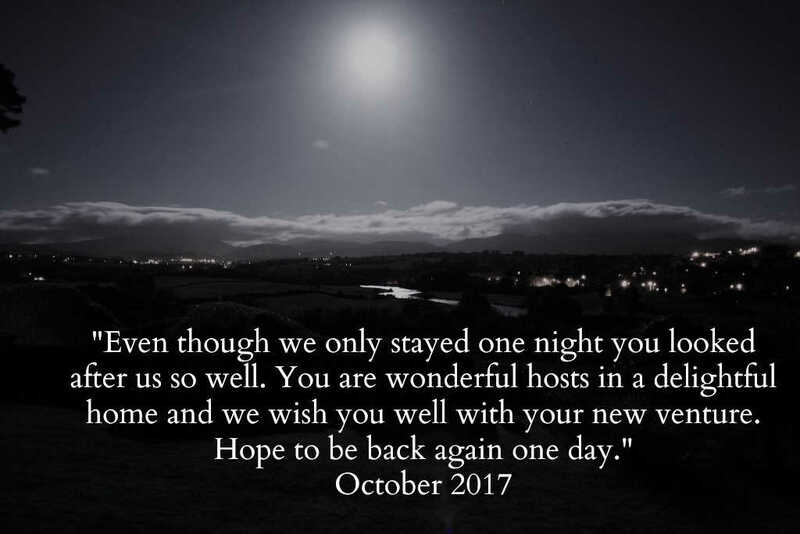 Some have been returning guests, which is a great joy to us, and new ones encourage us when they say they will definitely be returning. 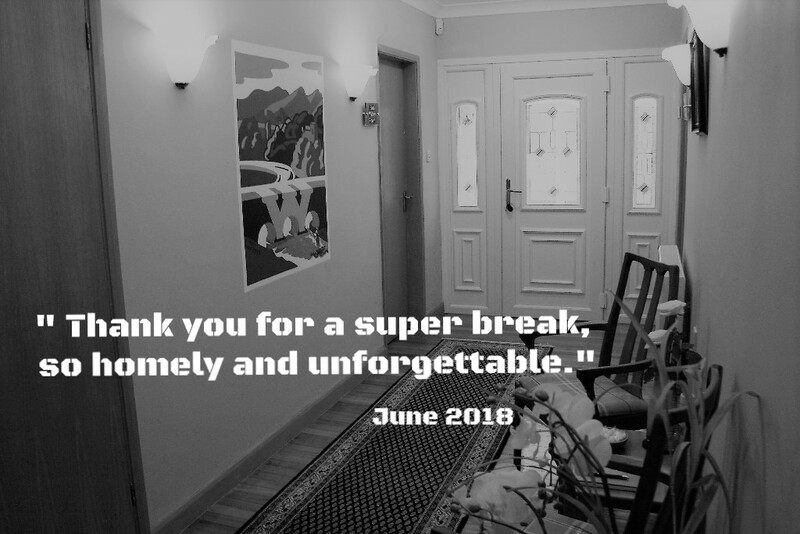 Thanks to you all!